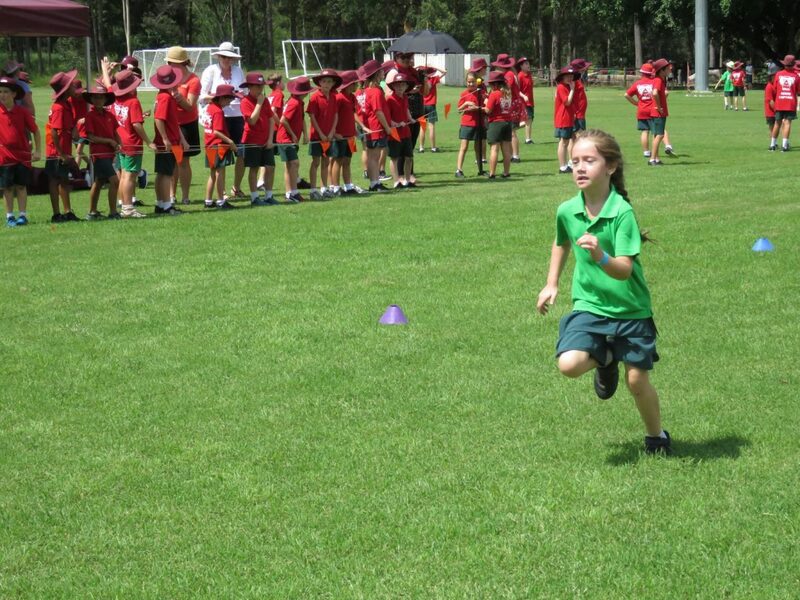 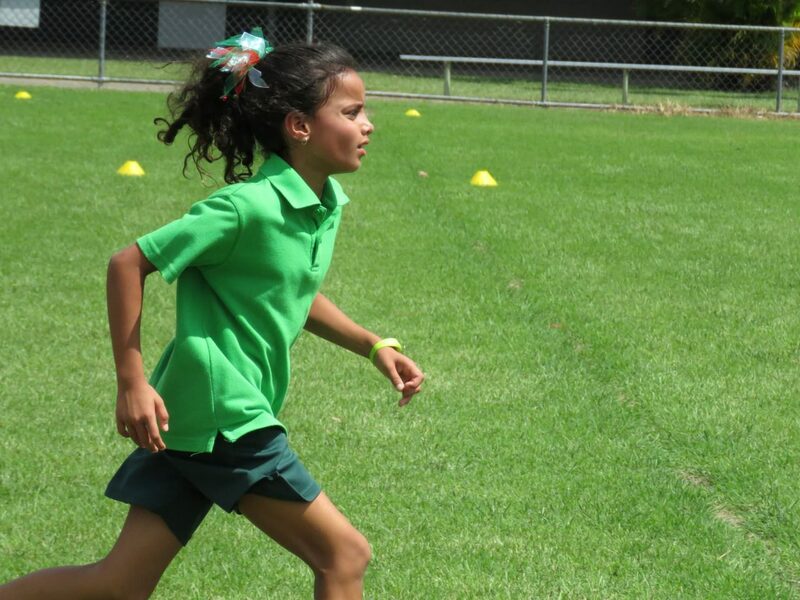 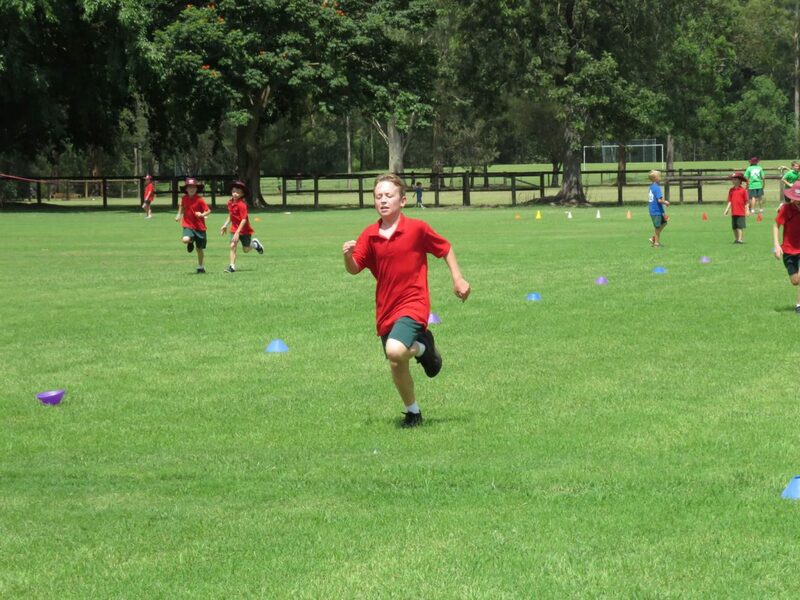 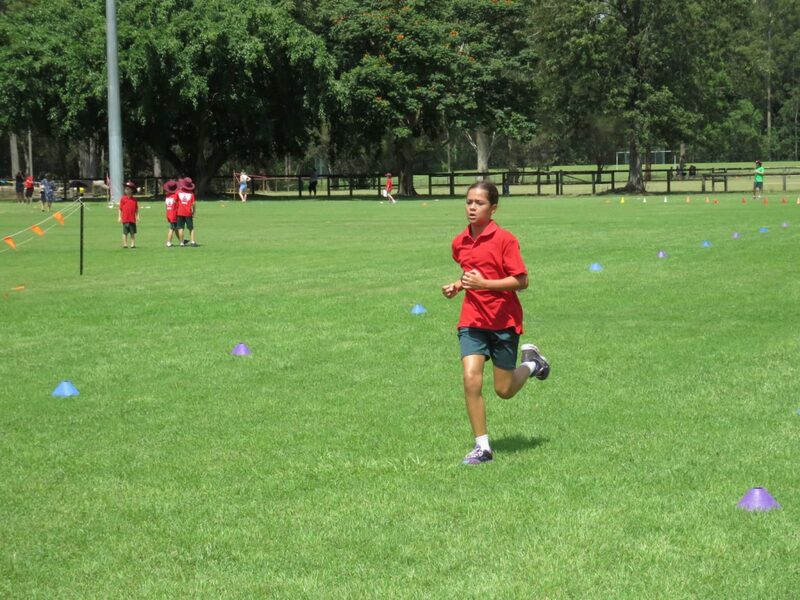 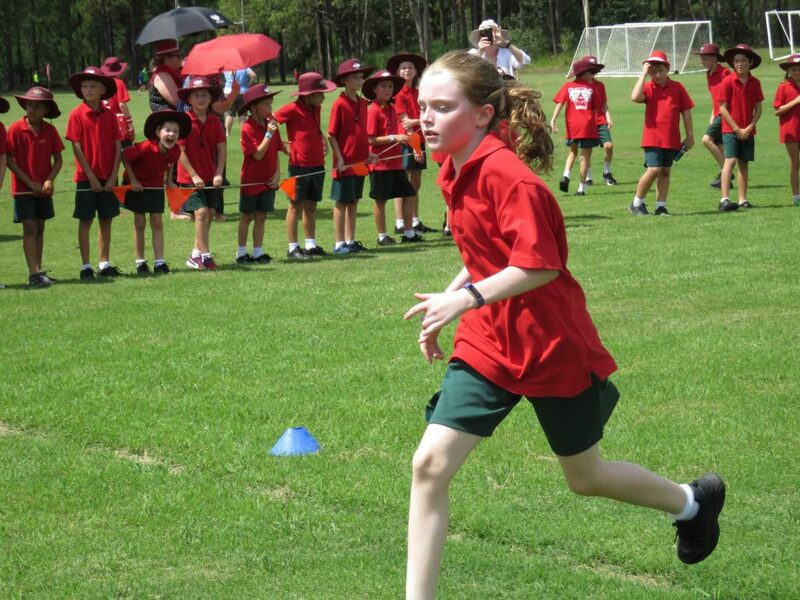 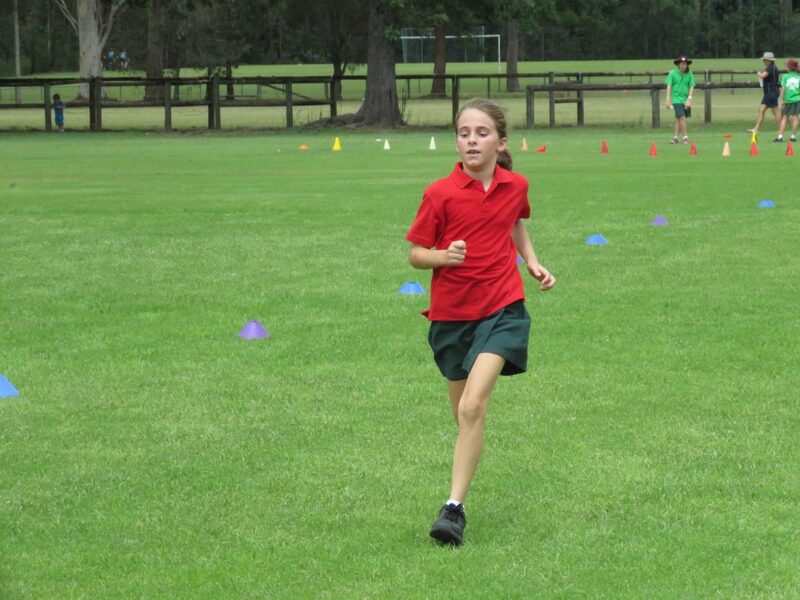 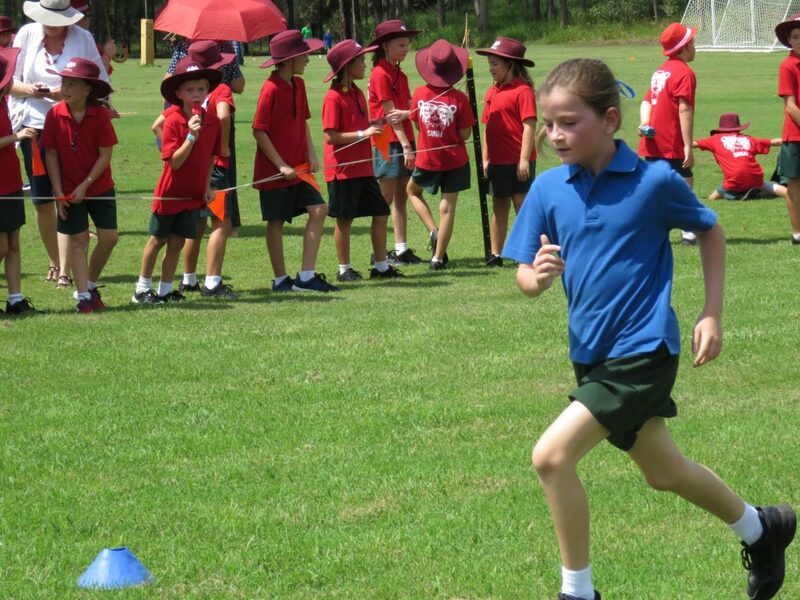 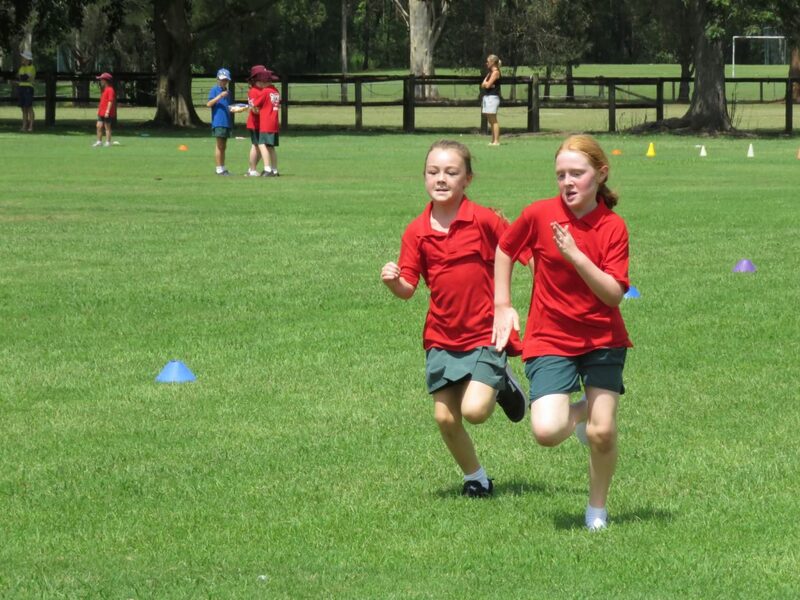 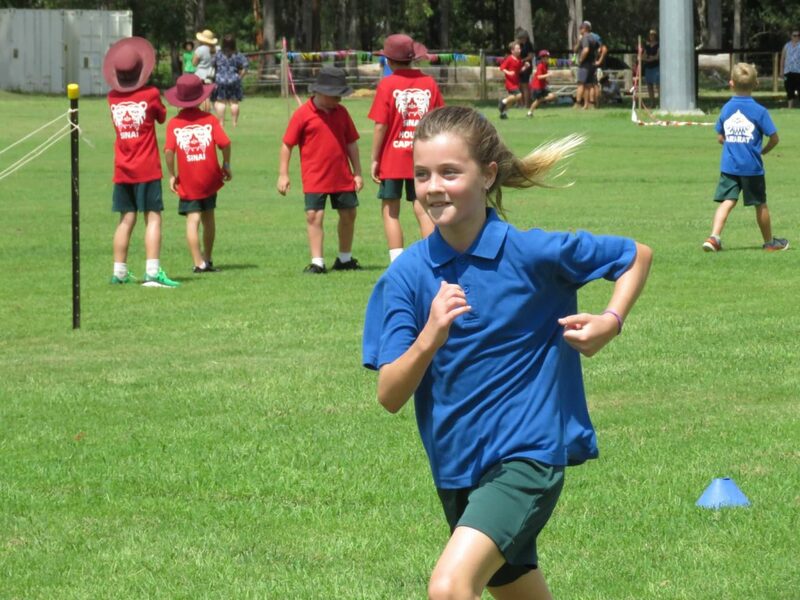 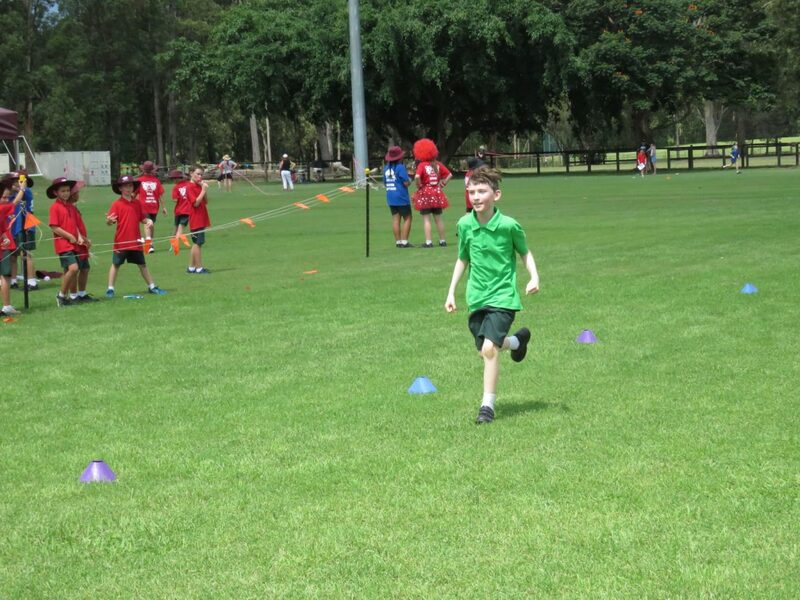 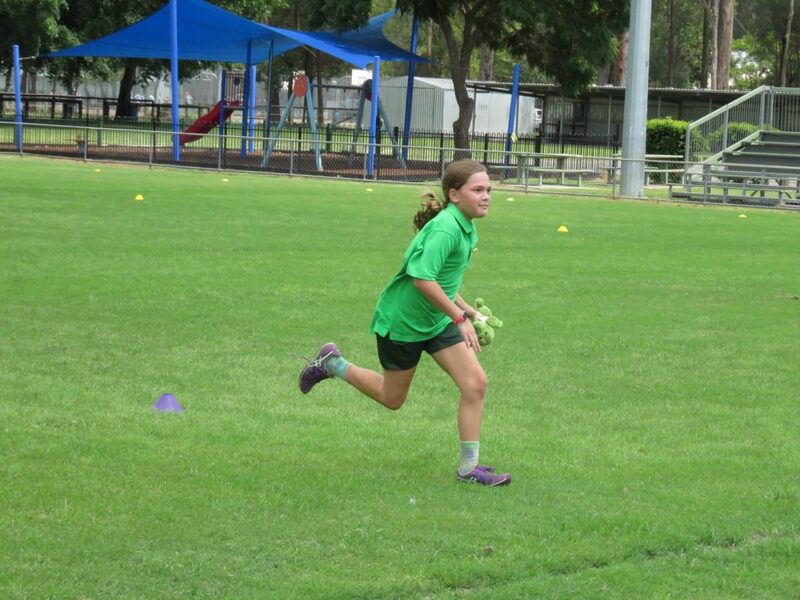 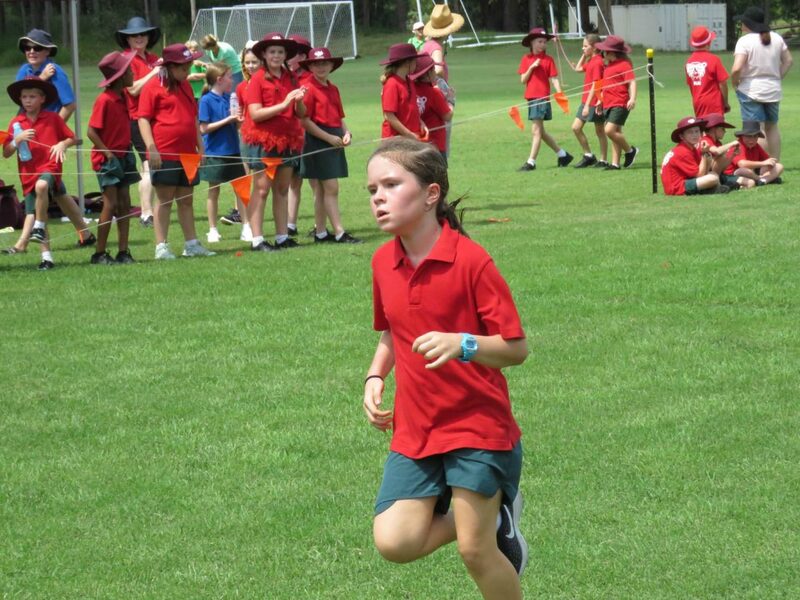 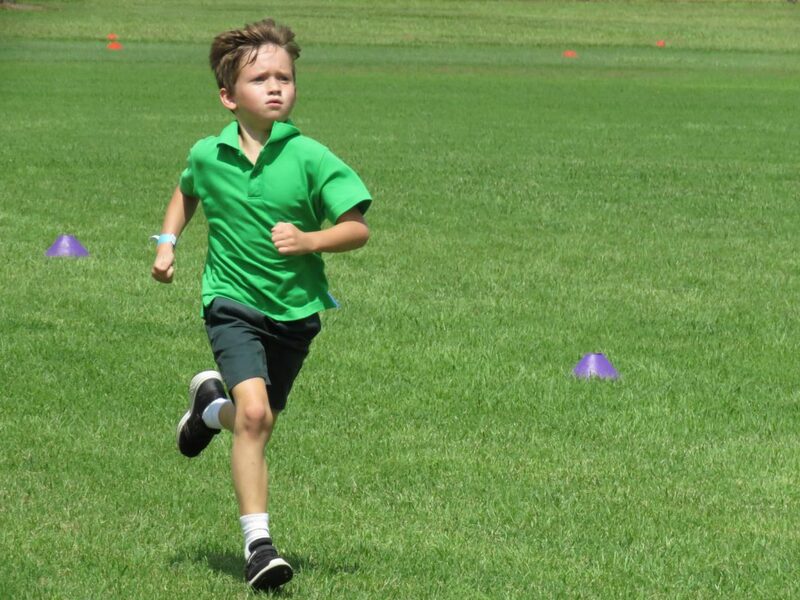 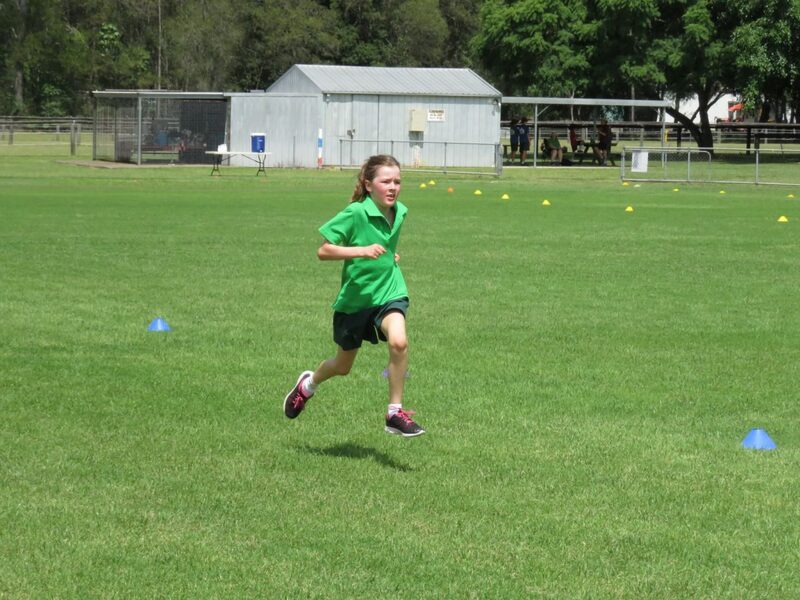 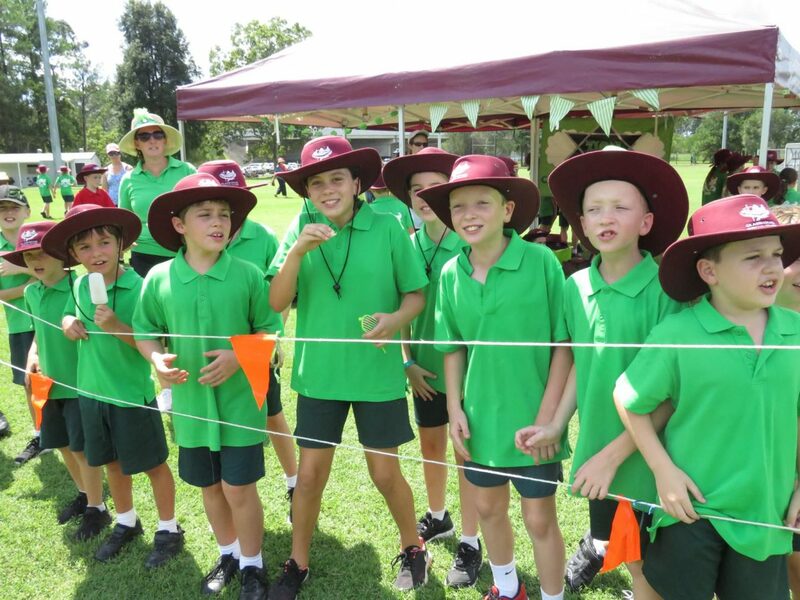 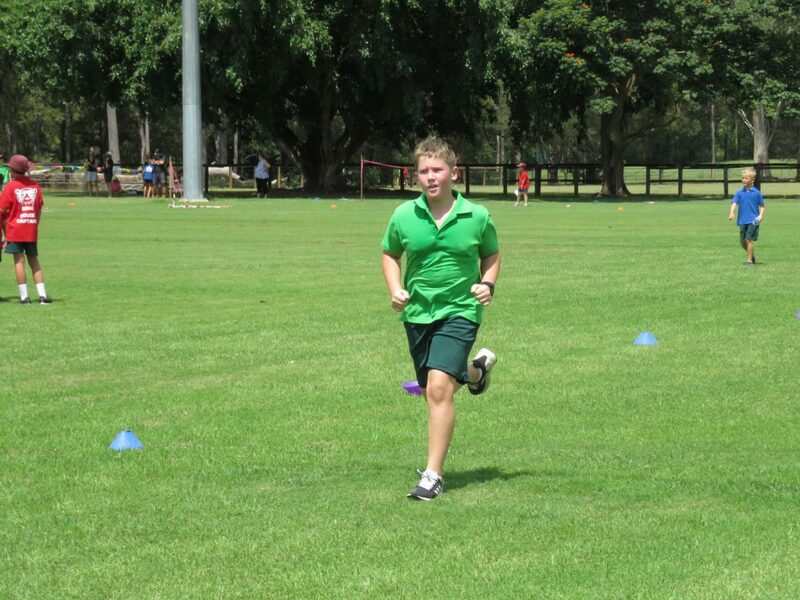 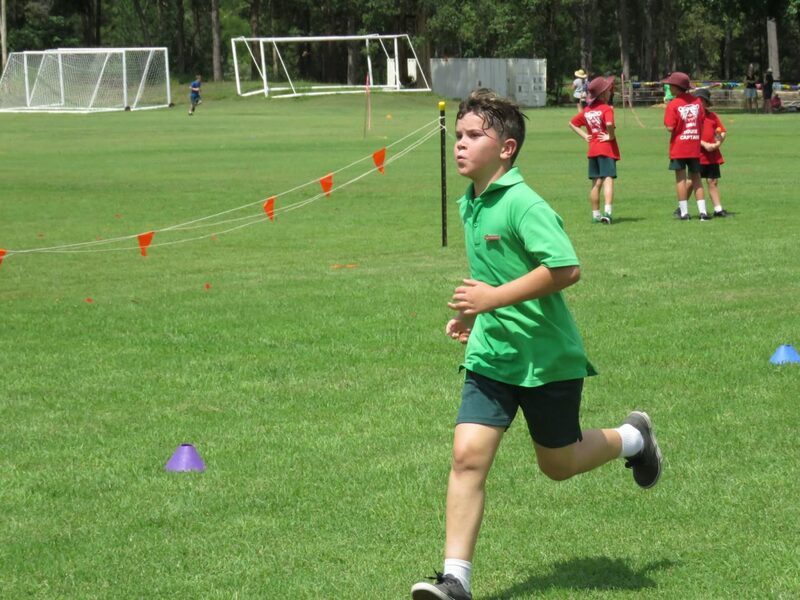 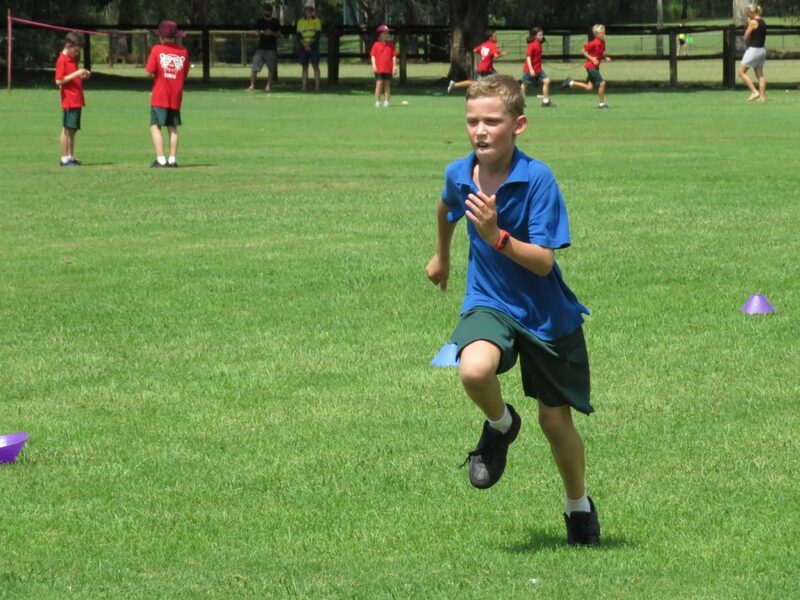 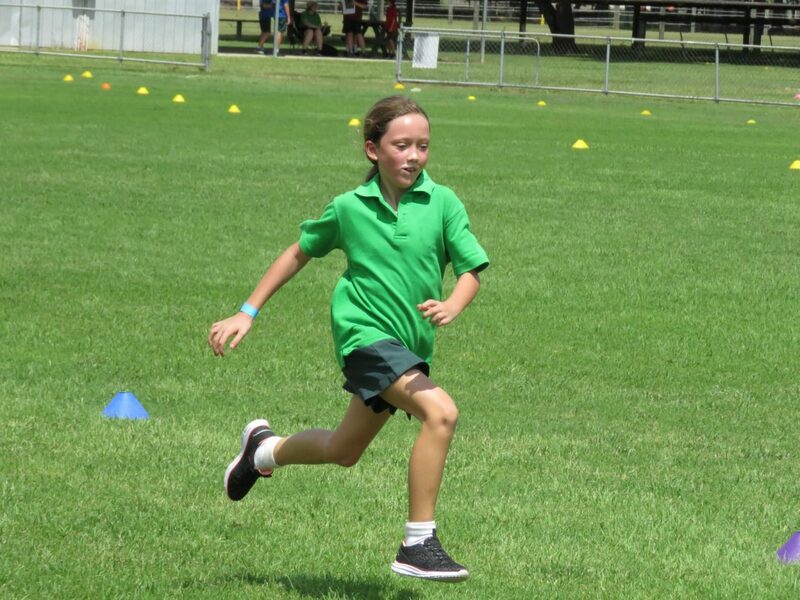 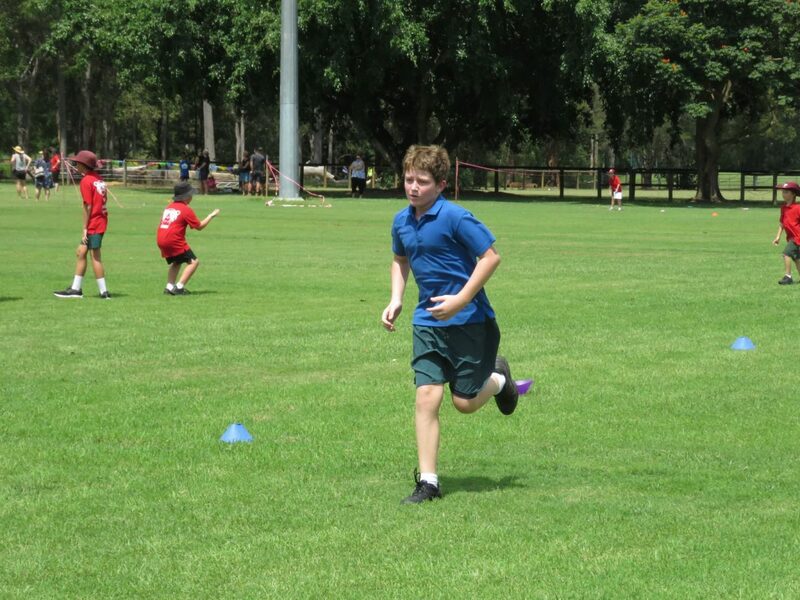 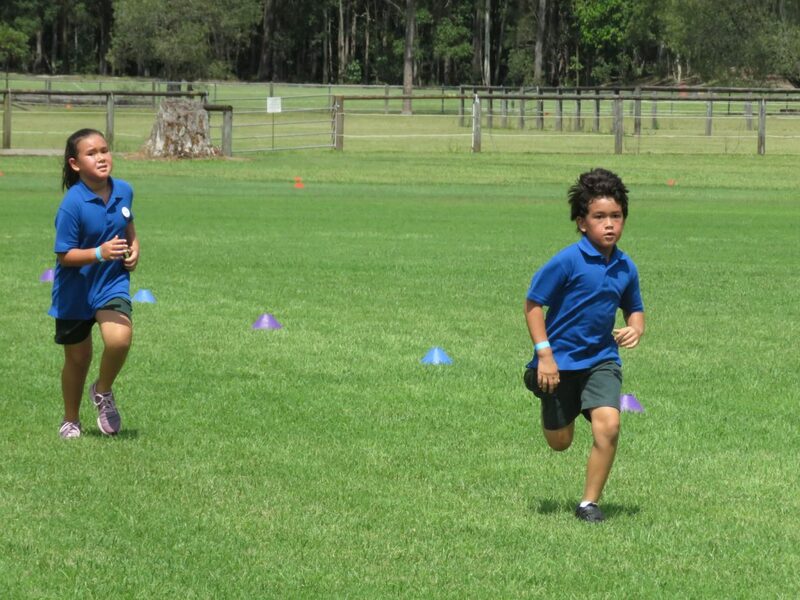 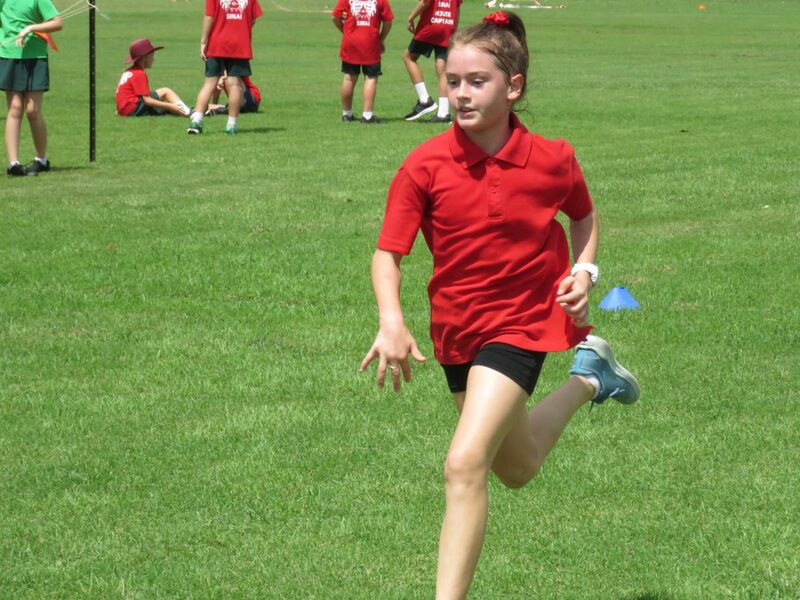 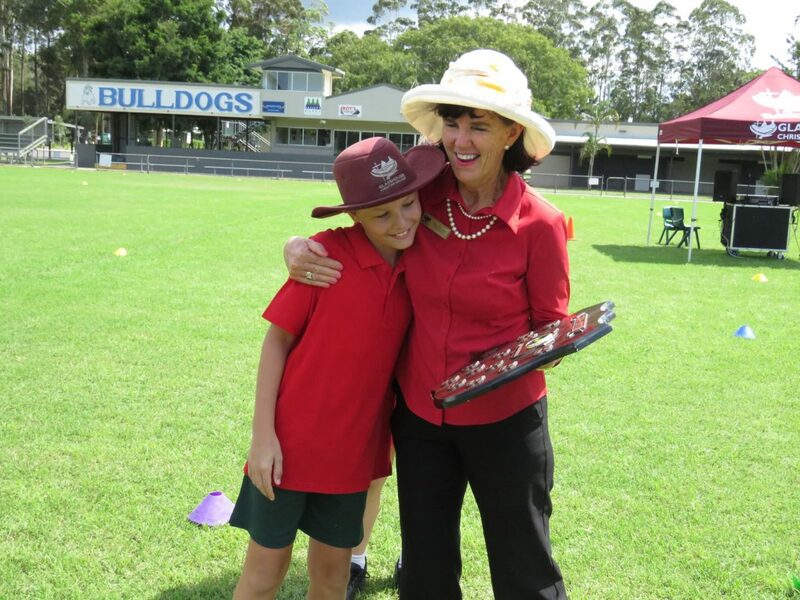 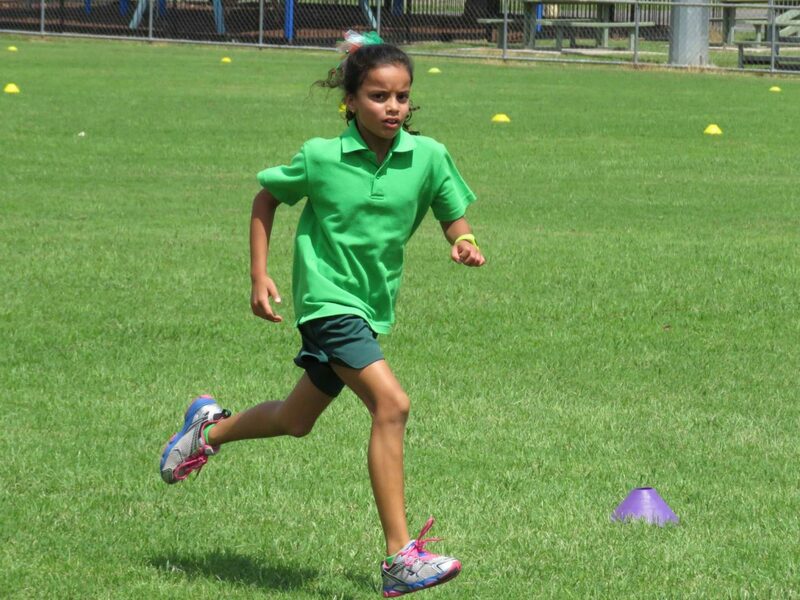 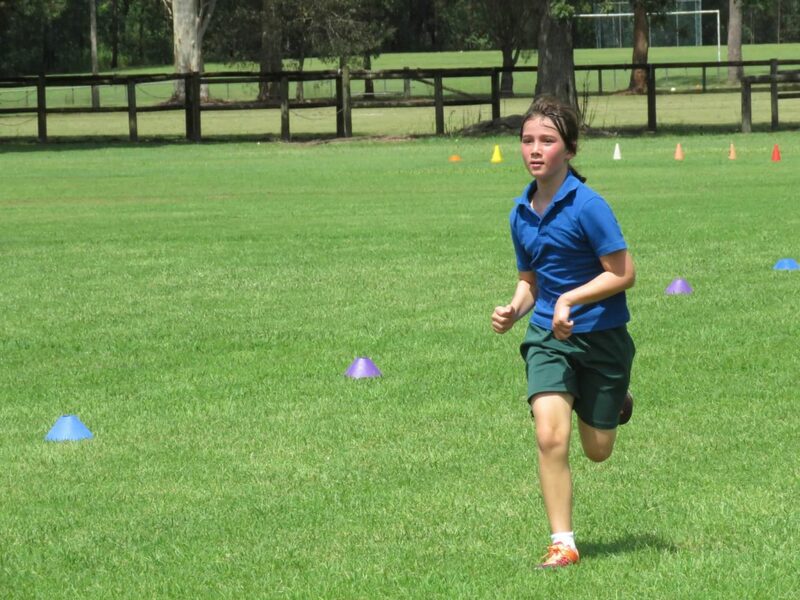 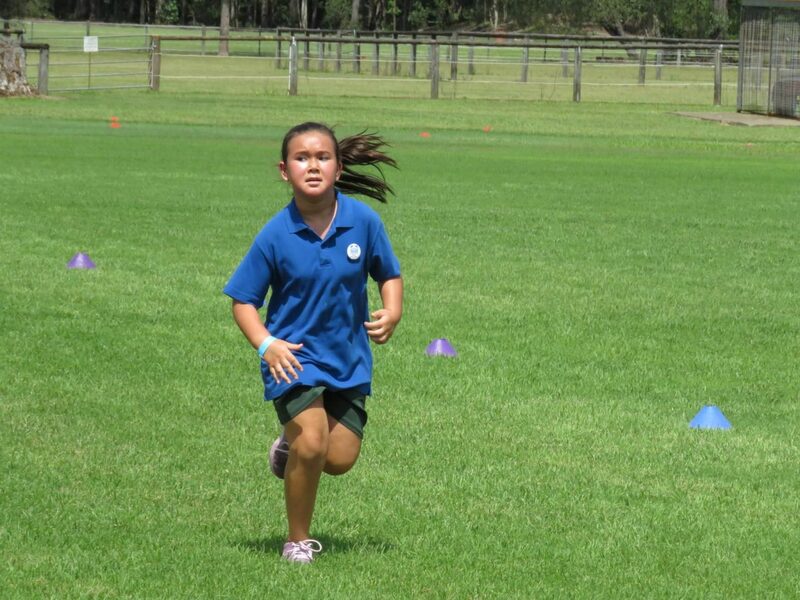 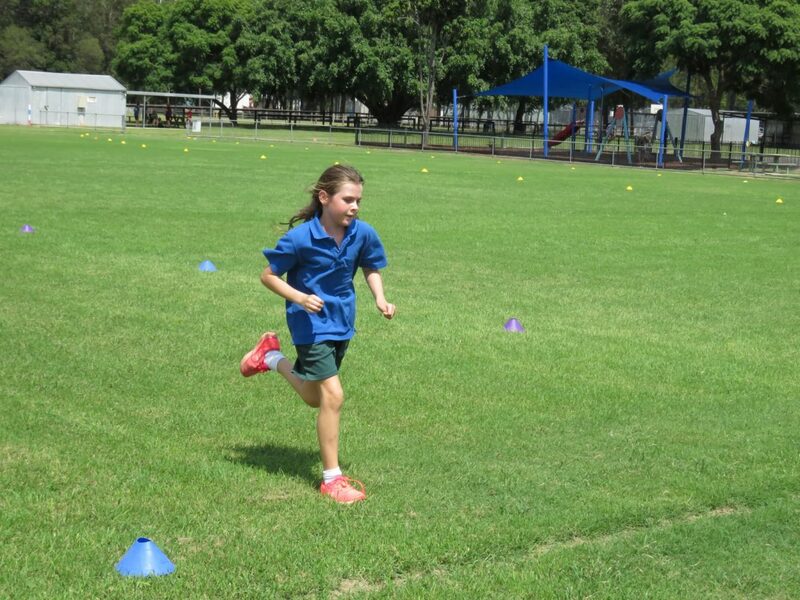 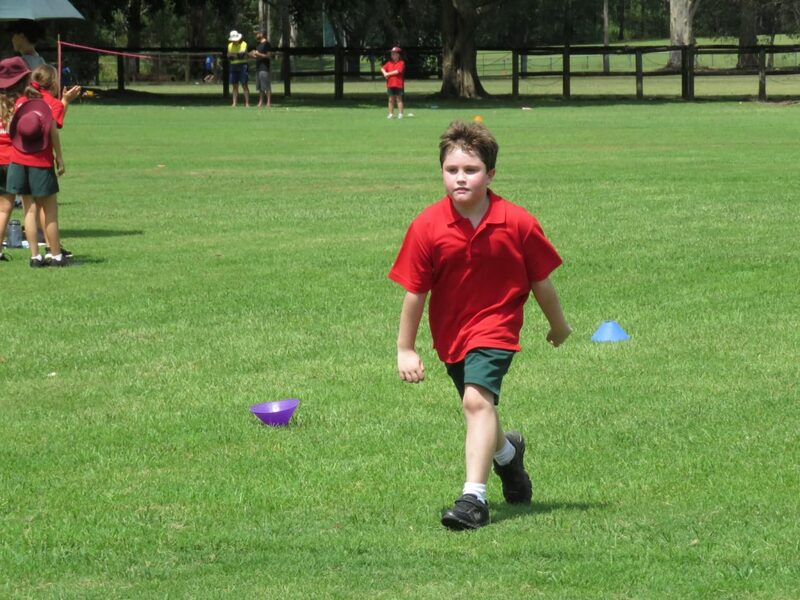 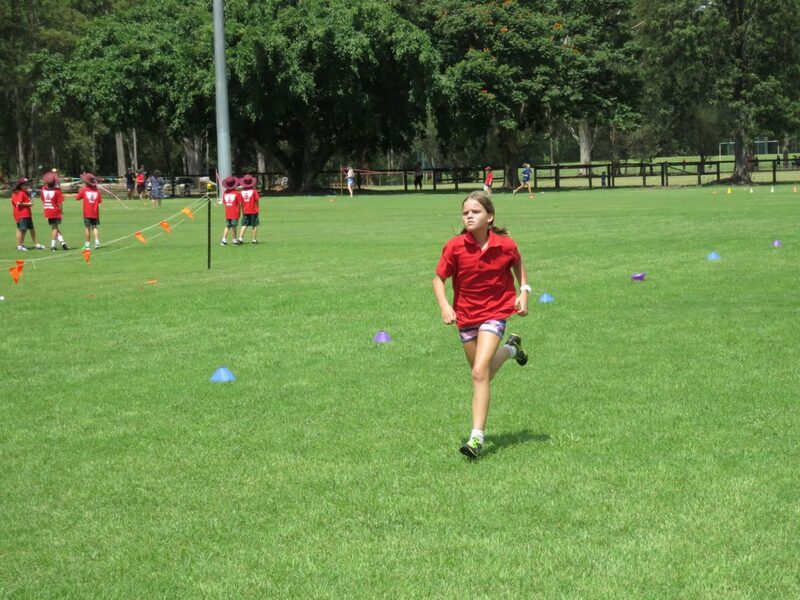 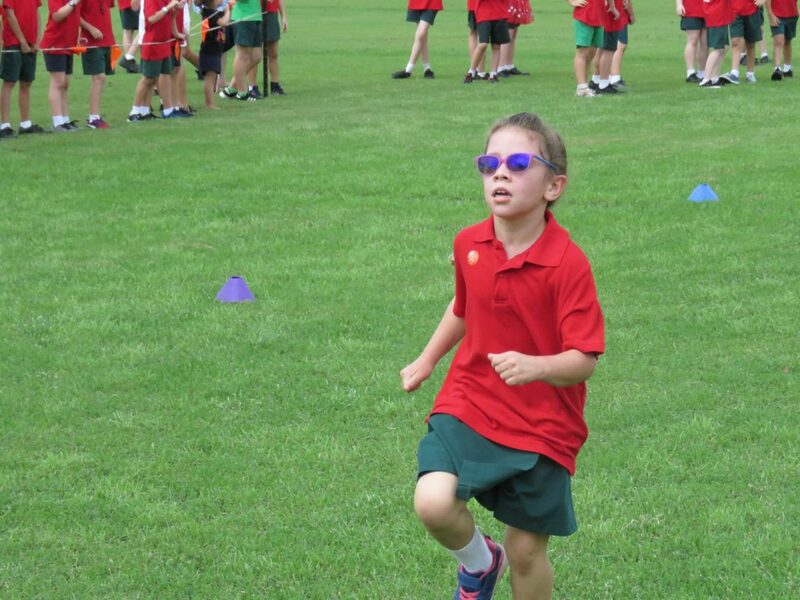 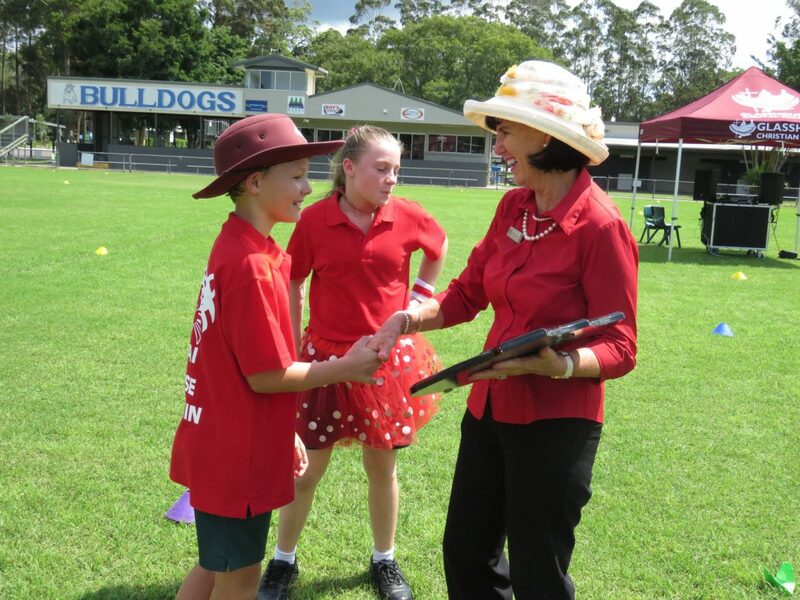 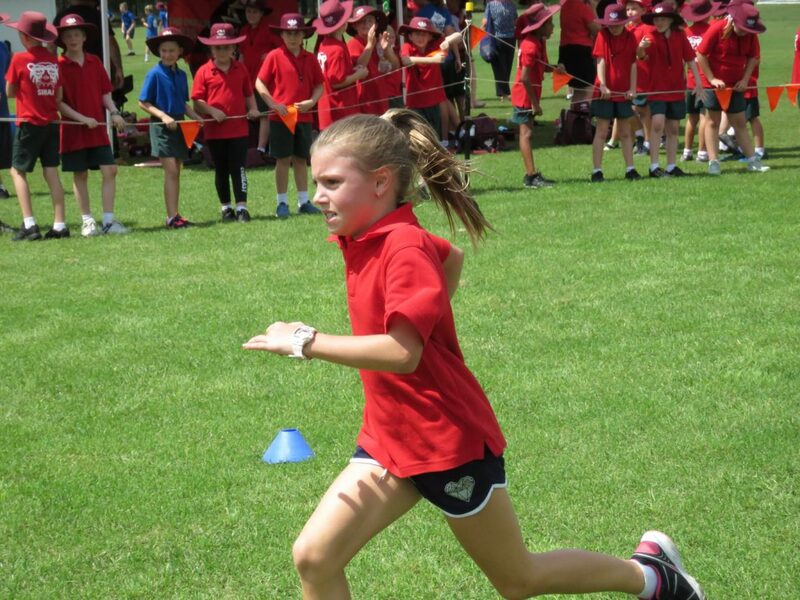 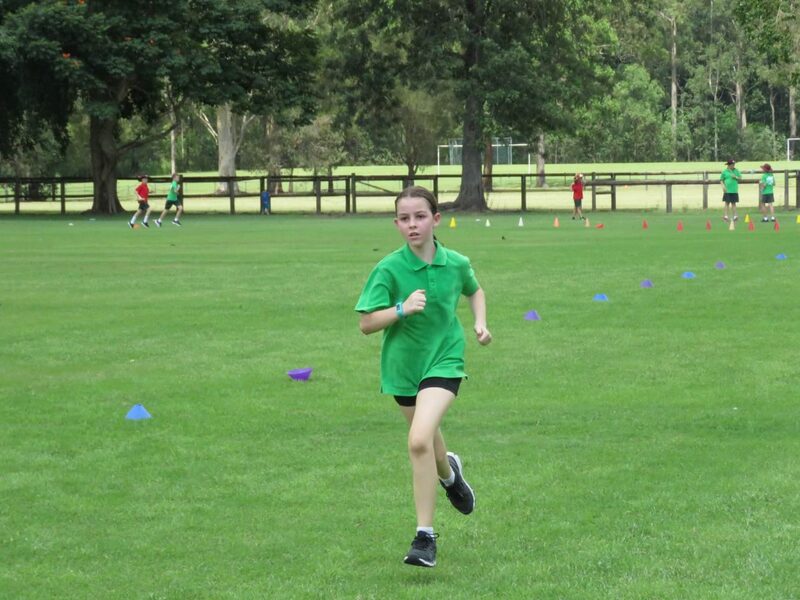 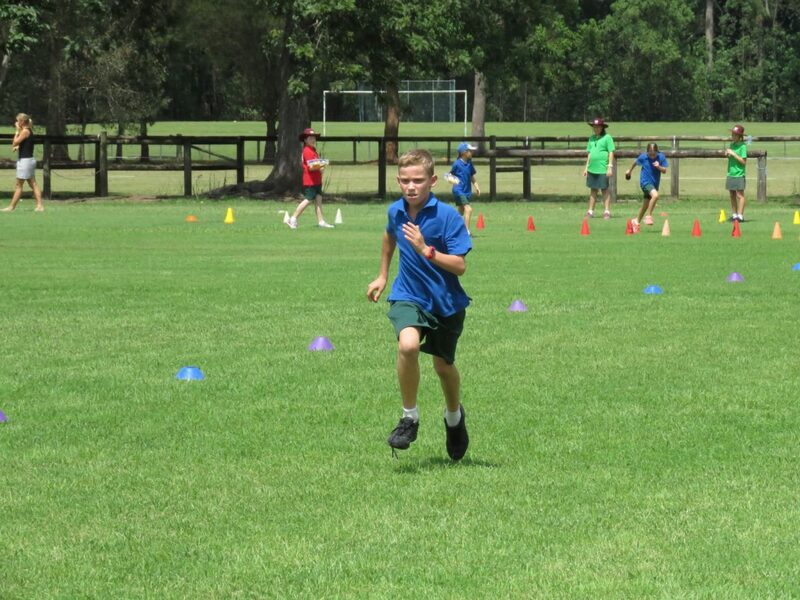 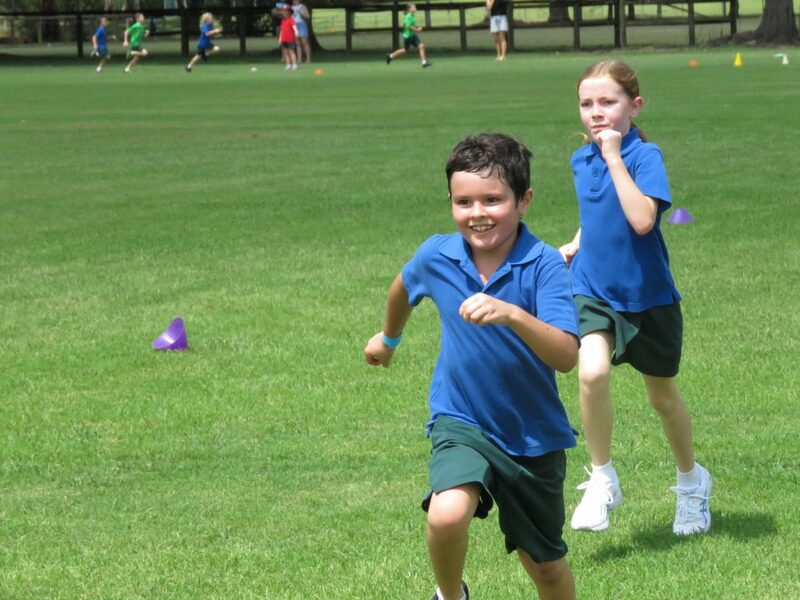 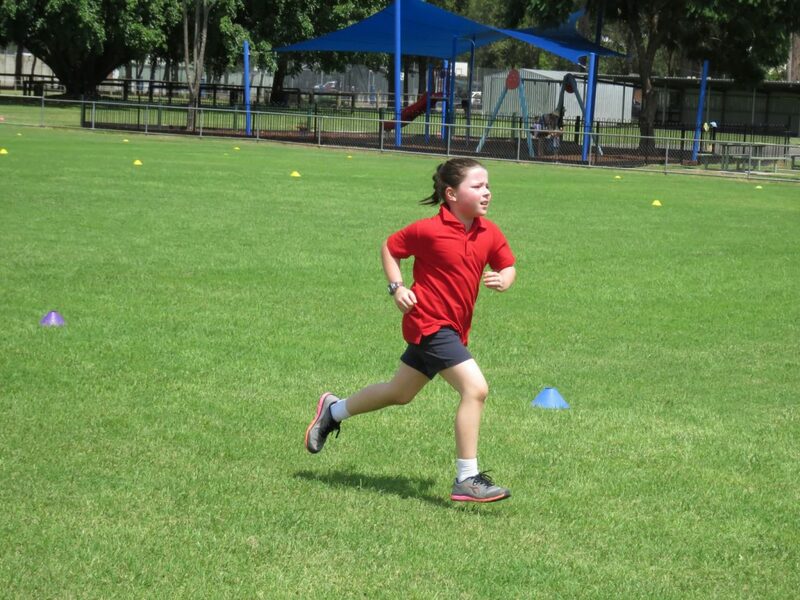 The Primary Cross Country was again over at the Beerwah Bulldogs course in very hot conditions. 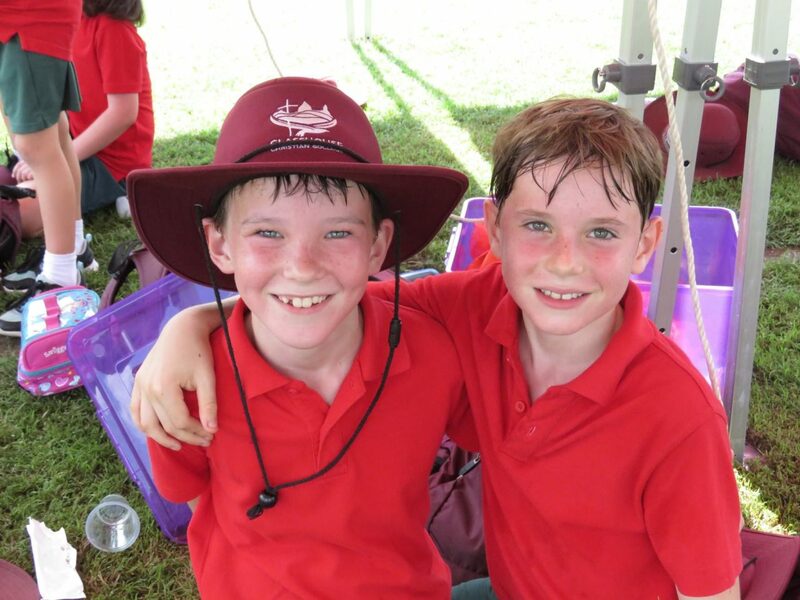 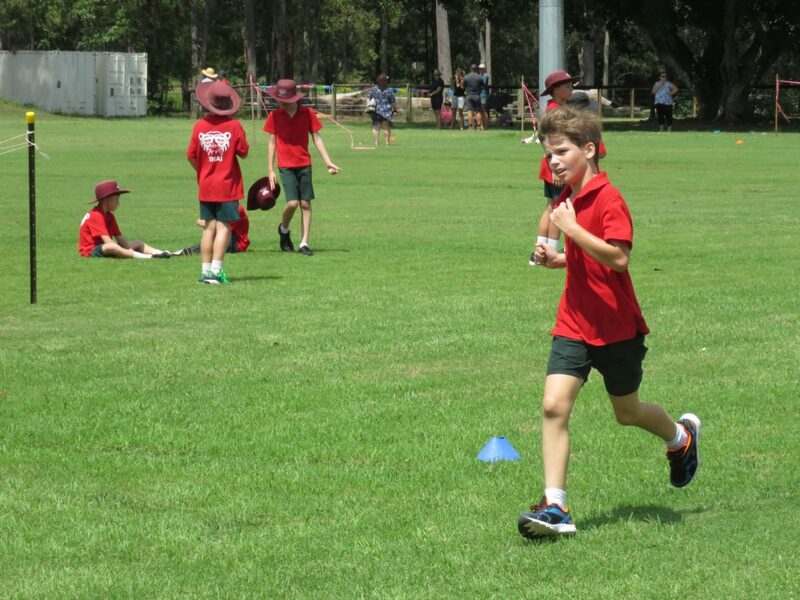 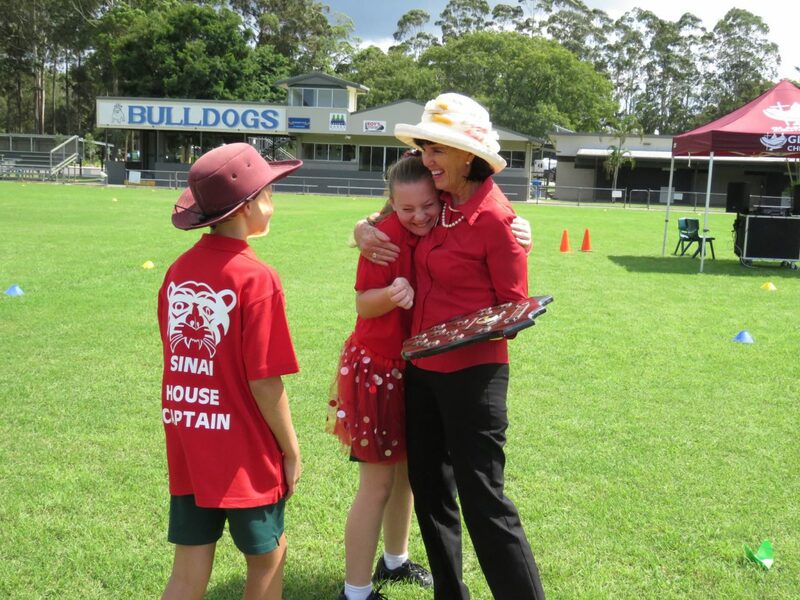 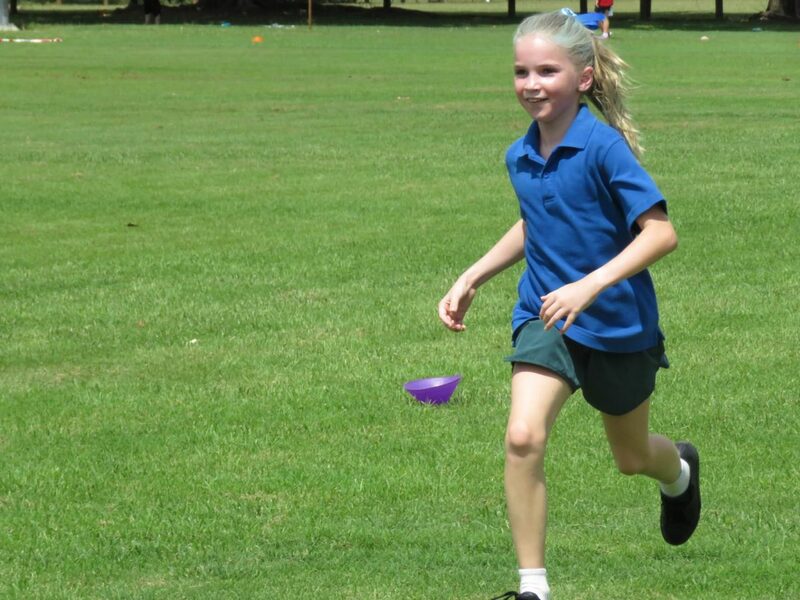 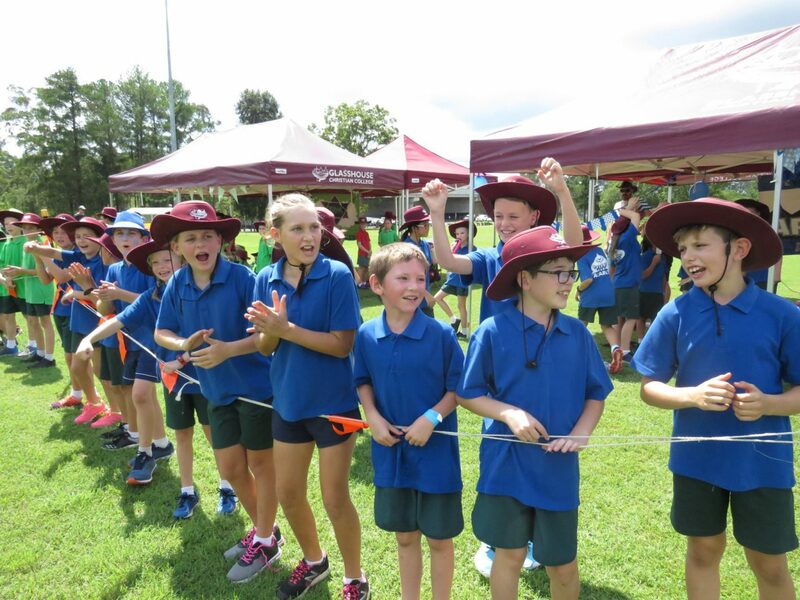 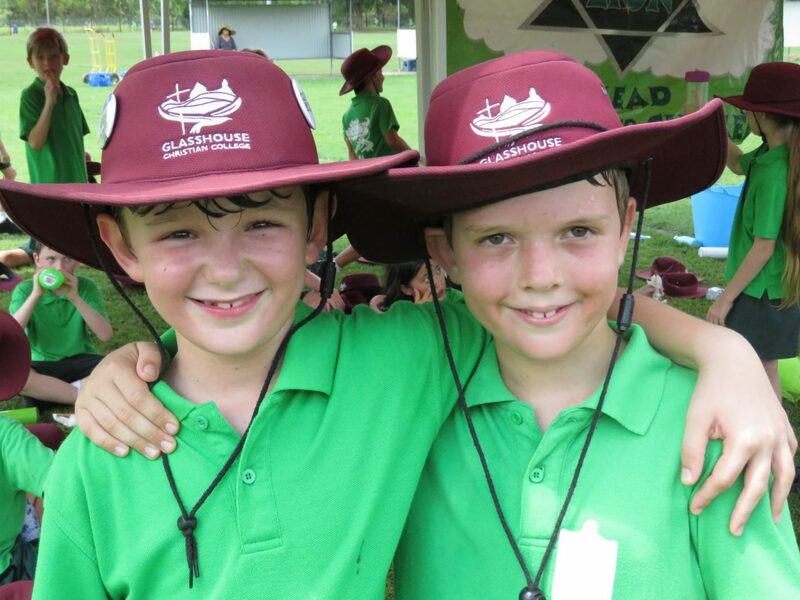 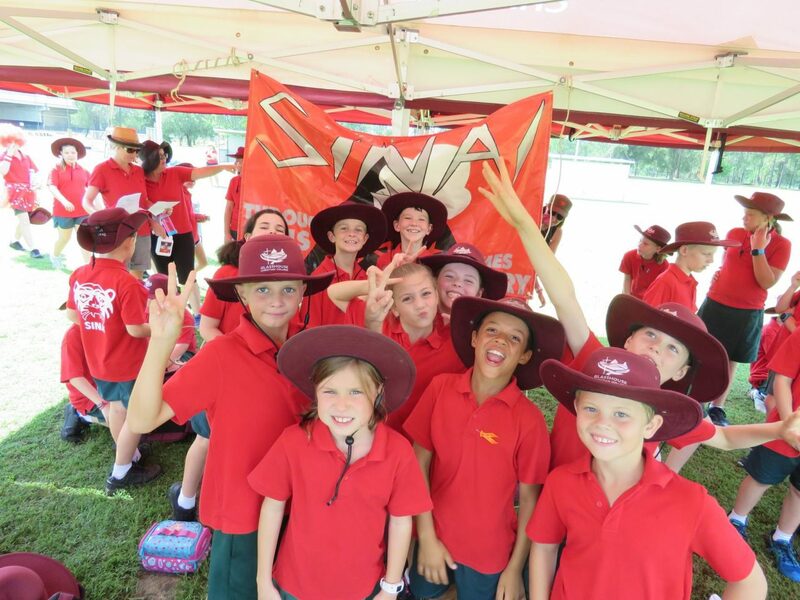 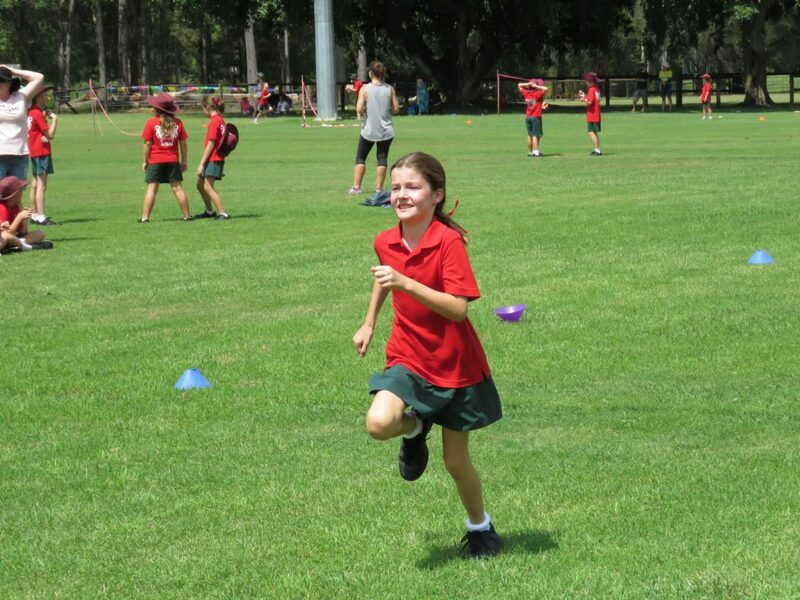 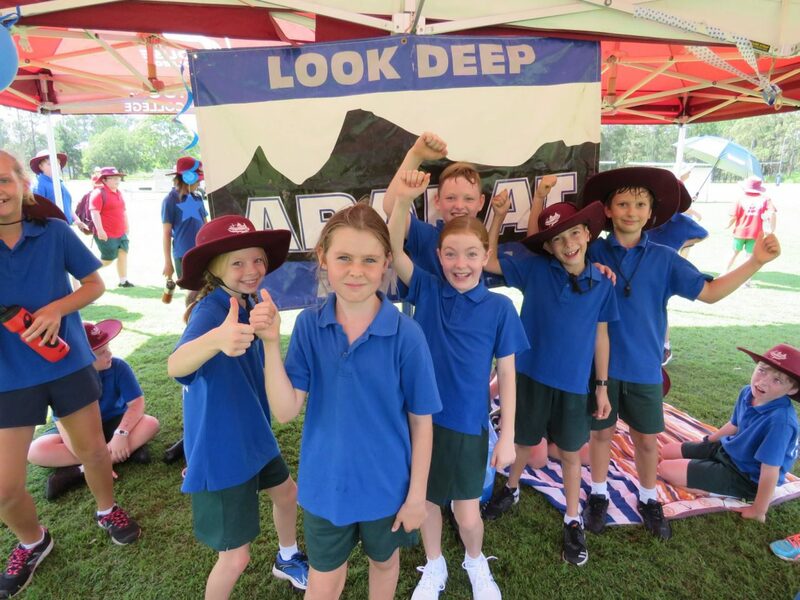 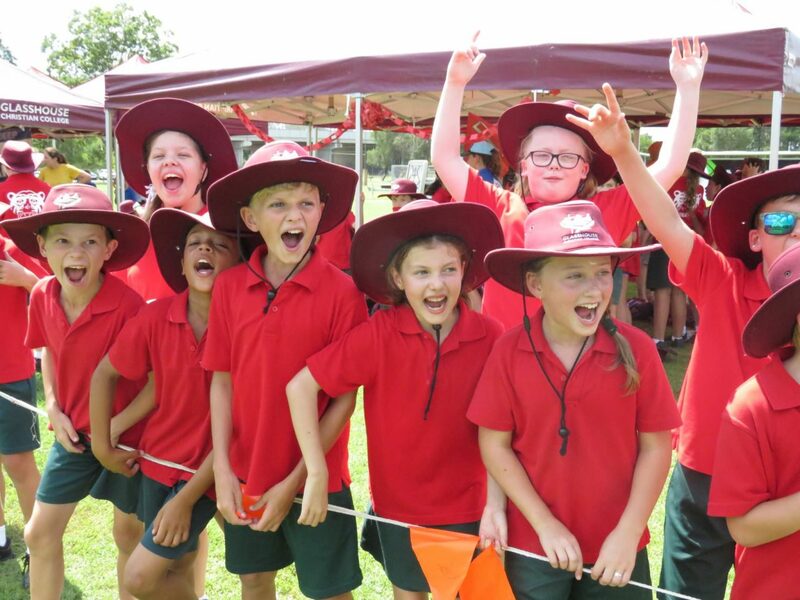 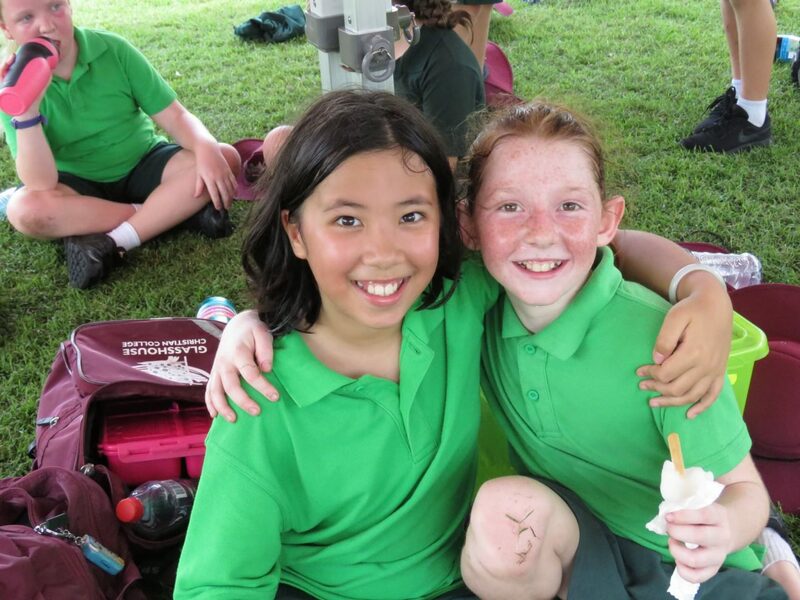 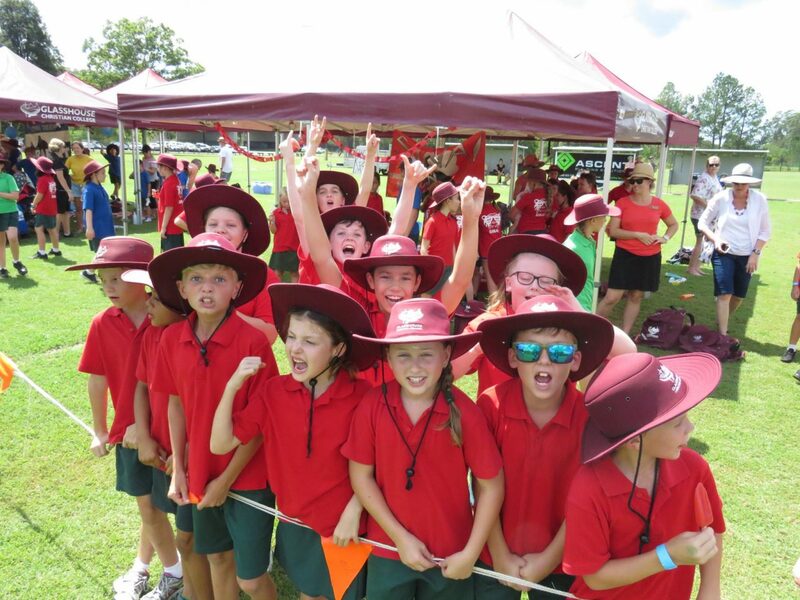 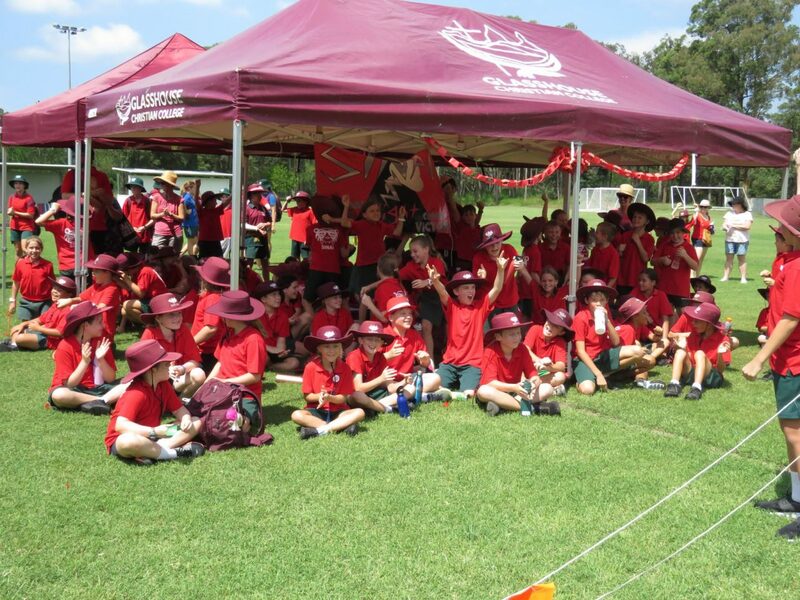 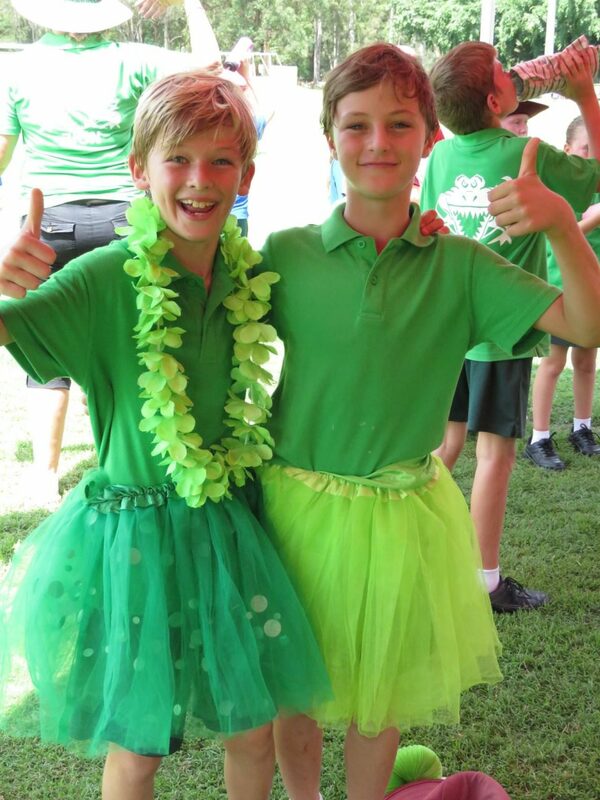 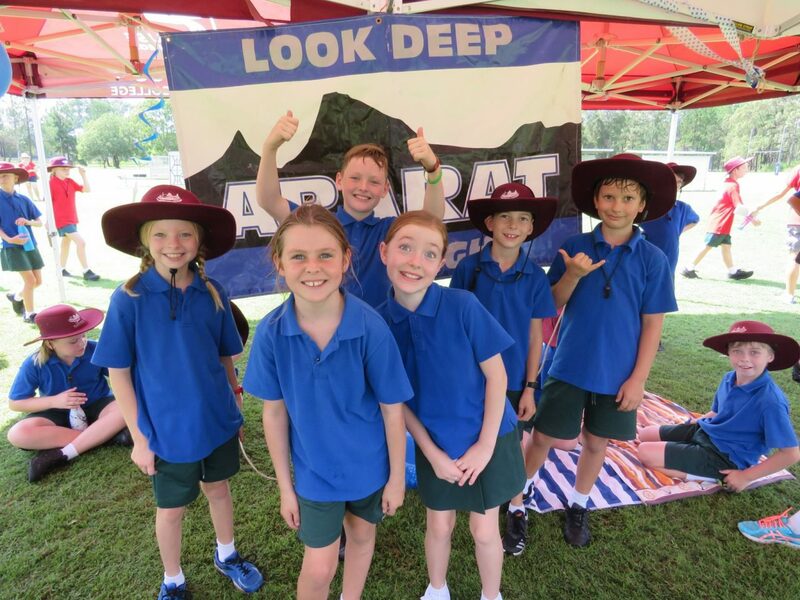 The carnival was early this year due to changes in the Australia School Sport Calendar and this meant that the Primary students had not trained as much as in previous years due to the heat. 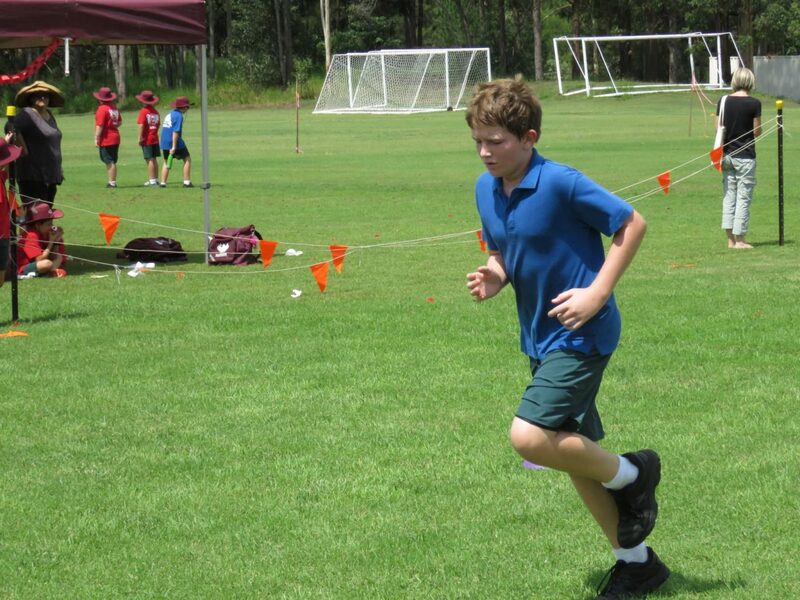 Many had improved their fitness at home and whilst running the orienteering course around GCC at lunchtimes. 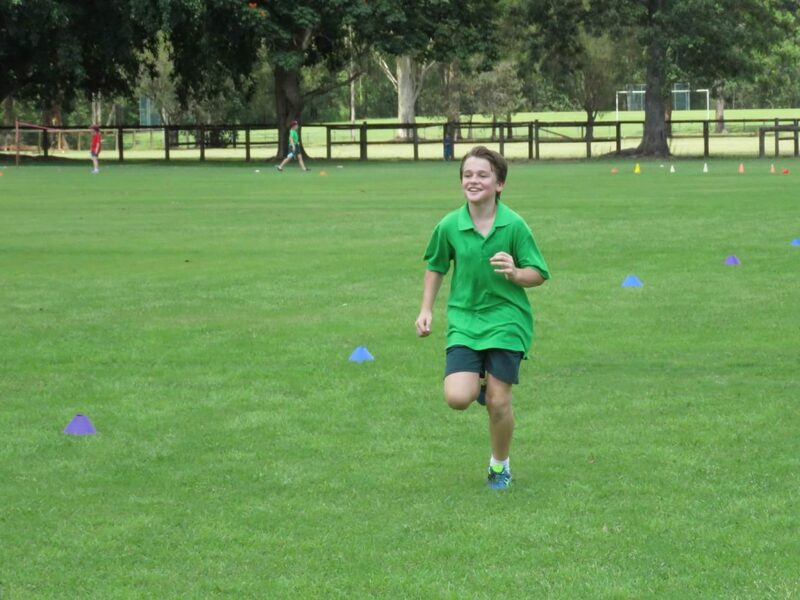 It was also great to see so many students attending Early Morning Cross Country Training and these students benefited from the fitness gained during the races. 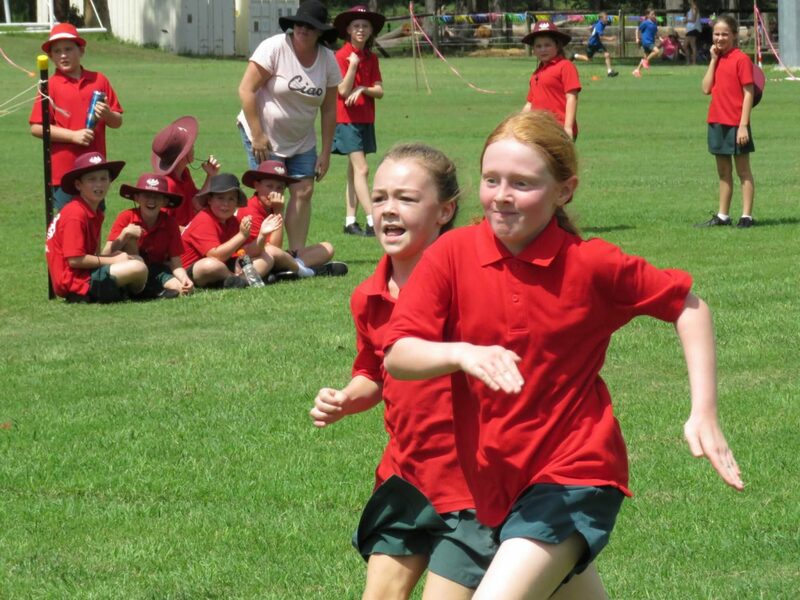 The racing began with the eight-year-old students who ran 1500m. 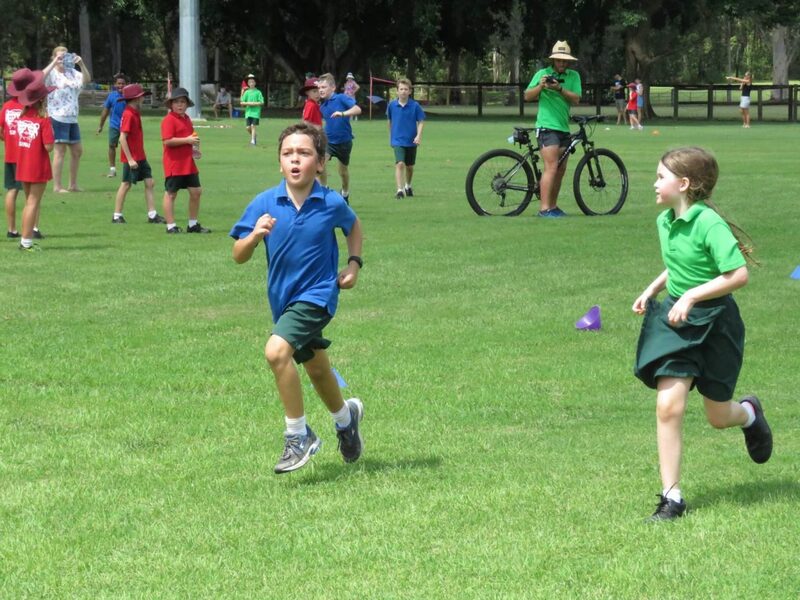 Pastor Josh had to pedal madly to keep ahead of these keen runners. 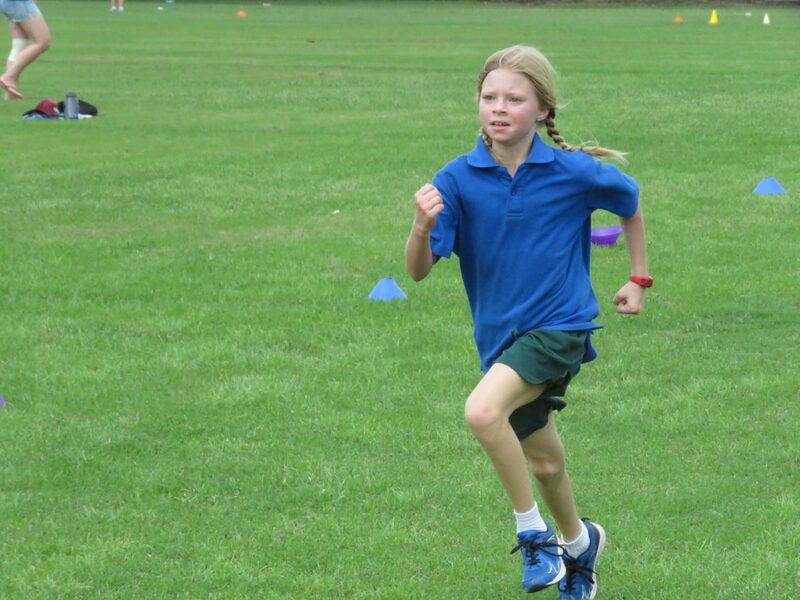 Isla McNeil and Oscar Stokje ran great races to win this age group. 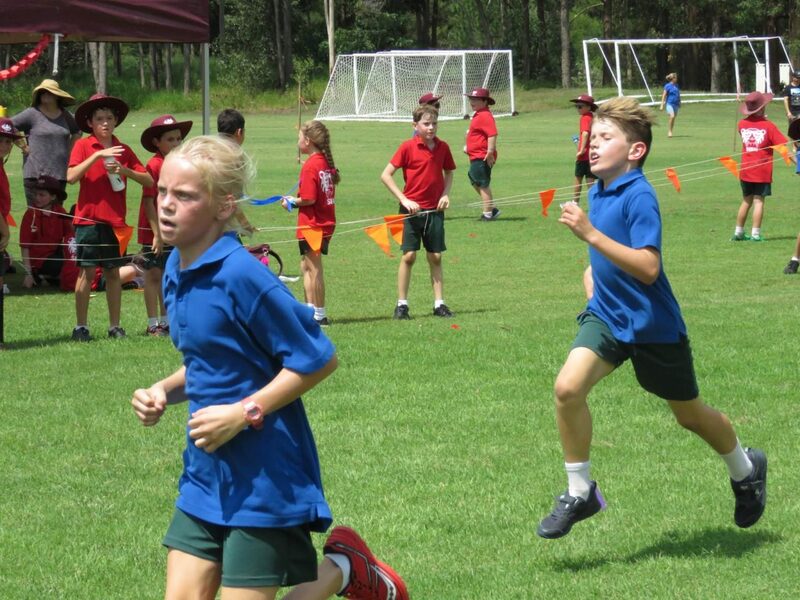 Oscar and Sam McMaster had a sprint finish and were only separated by the smallest of margins. 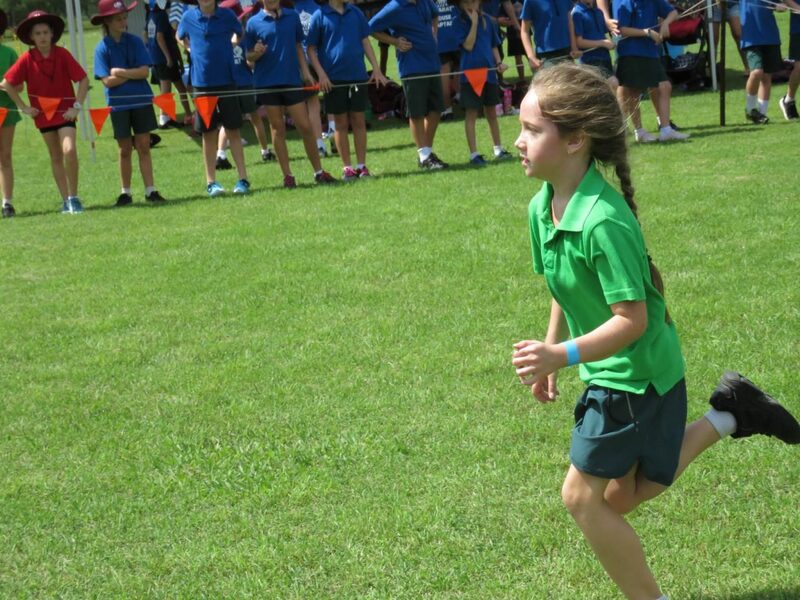 The nine-year-olds followed, running the 2km course including the infamous killer hill! 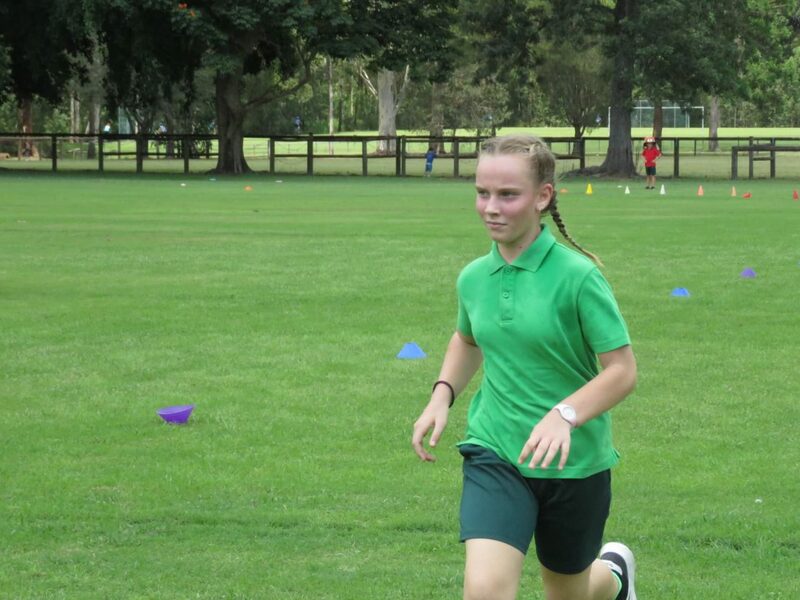 Sophie Sharma took the lead early in the girls race and finished almost a minute ahead of Molly Brown in second place. 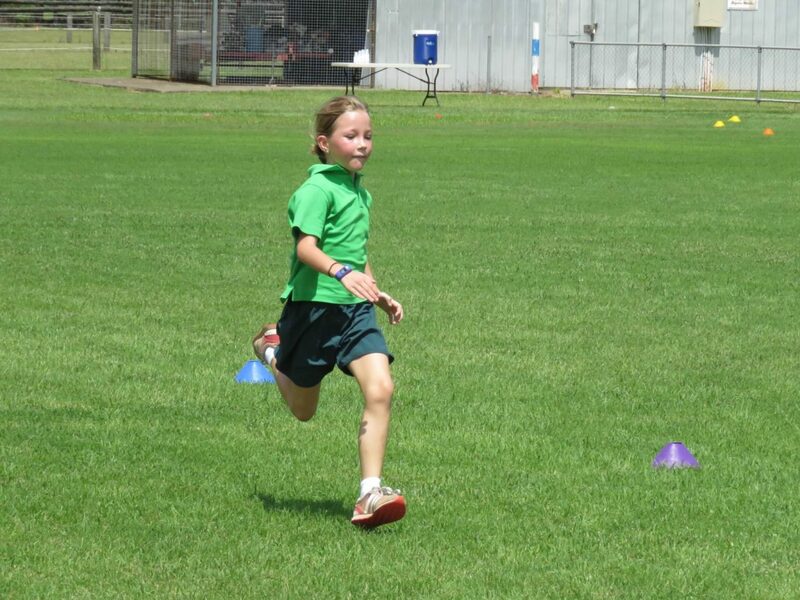 Her time was one of the fastest we have seen for a nine-year-old girl and we look forward to seeing her run in the future. 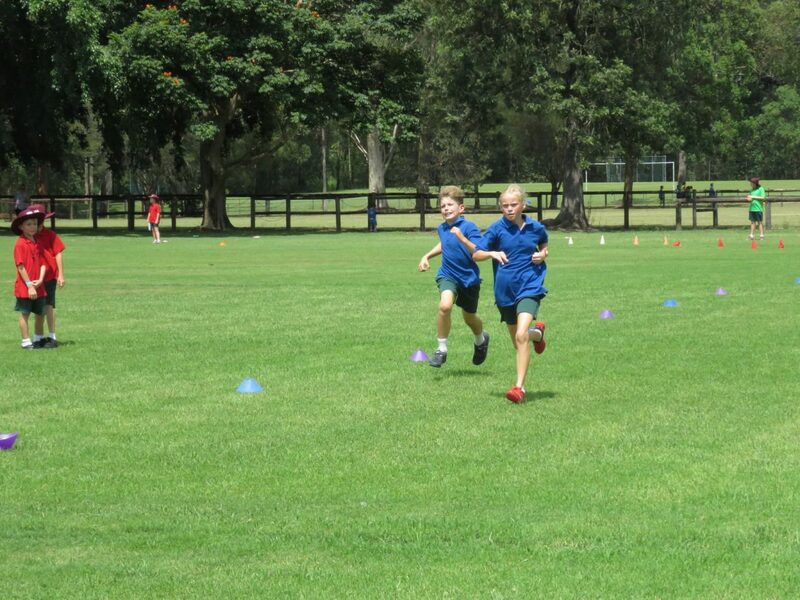 The boys race was very close with Matthew Balfour and Jack Ives sprinting to the line with Matthew winning by a body width! 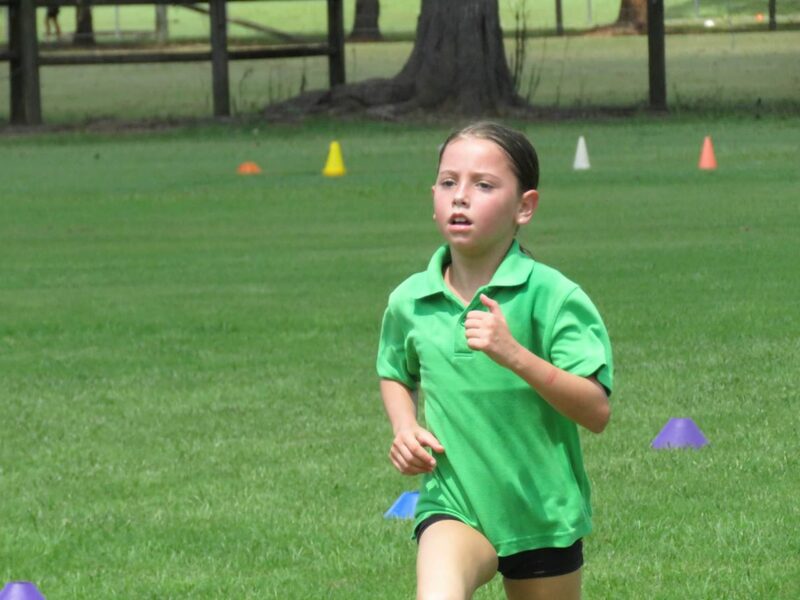 Ten-year-old Breeanna Aldridge ran most of her race in front out on her own and finished over a minute ahead of second placed Milla Hinds. 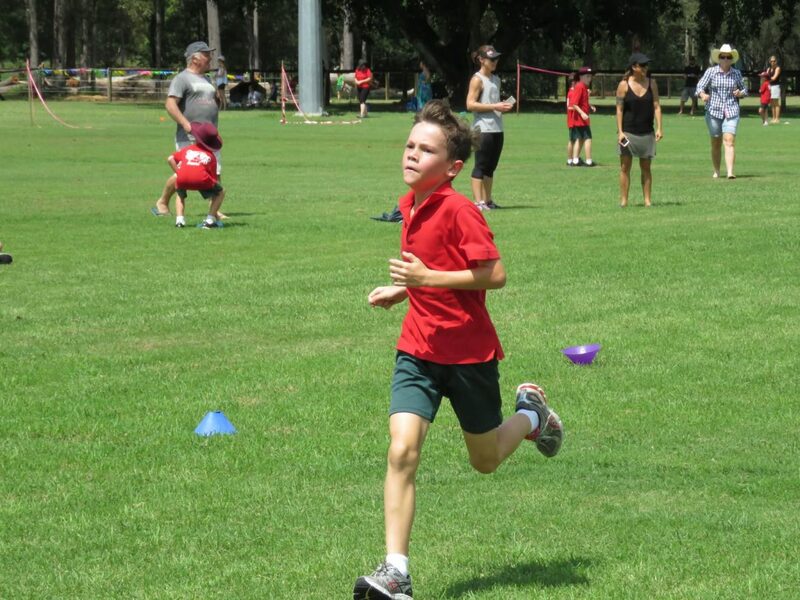 The 10-year-old boys race was a real battle with four boys running together for much of the race. 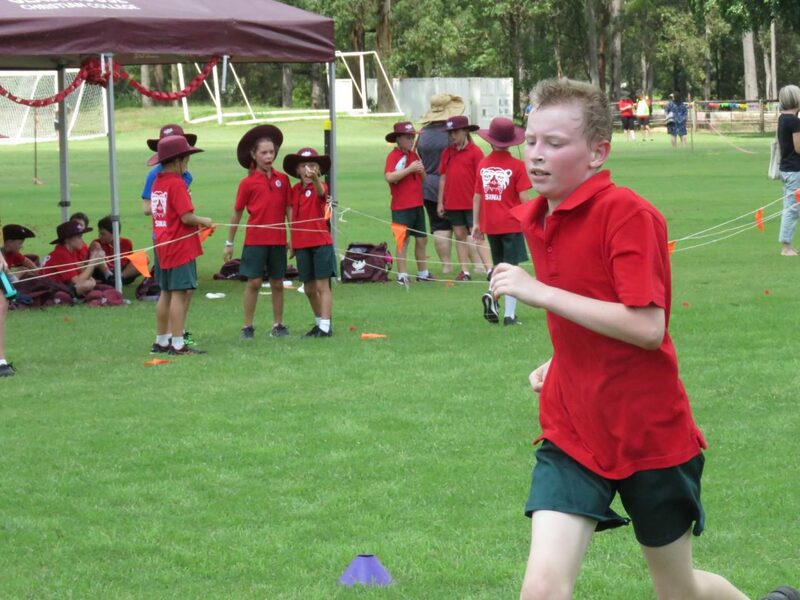 Hayden Cullen managed to pull away and win by just 10 seconds from Flynn Lewis, Micah Constant and Zander Carlson. 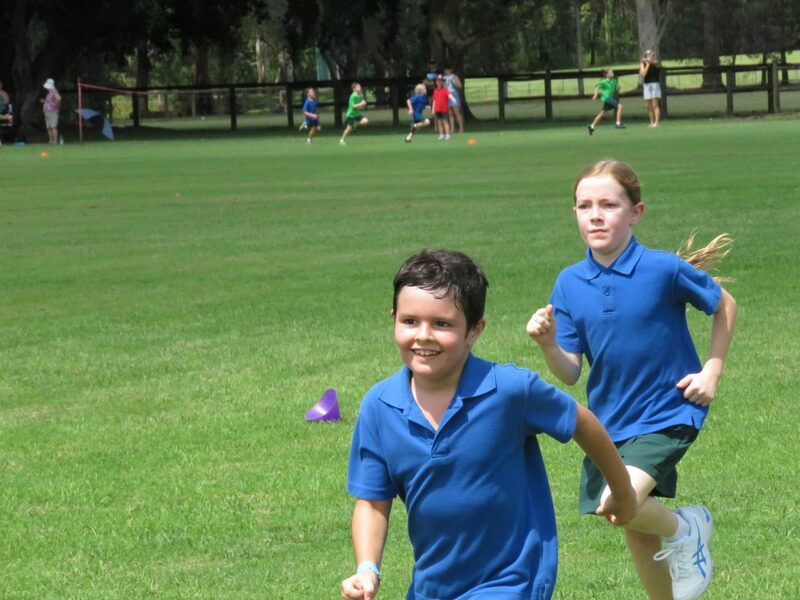 The 11-year-olds ran 3km and both girls and boys races were hotly contested. 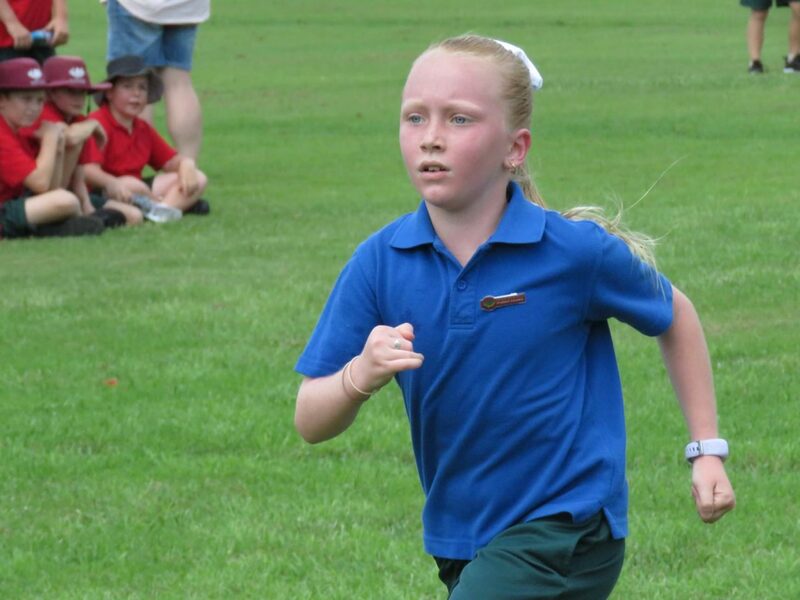 Jasmine Hazelden ran strongly over the second half of her race to win the 11-year-old girls’ race. 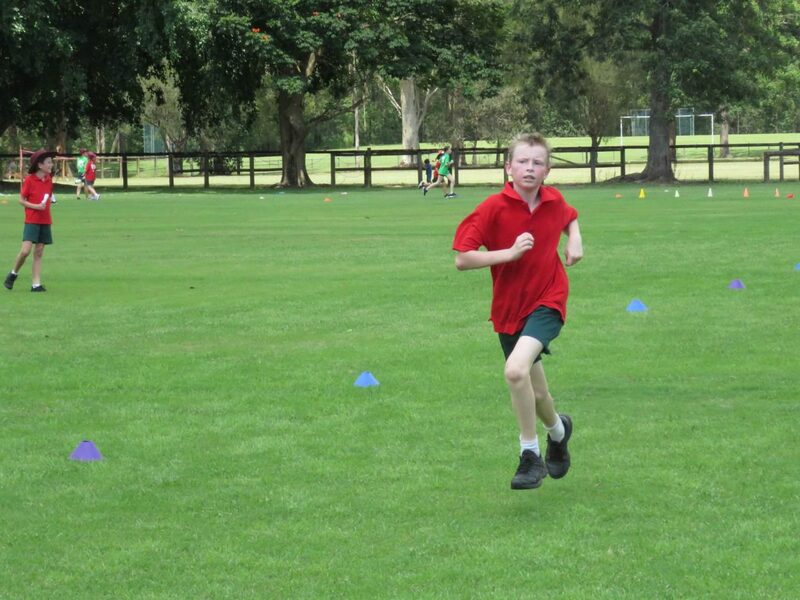 Ben Ramke and Oliver Thornton battled it out in the boys race with Ben winning by about 80m from Oliver. 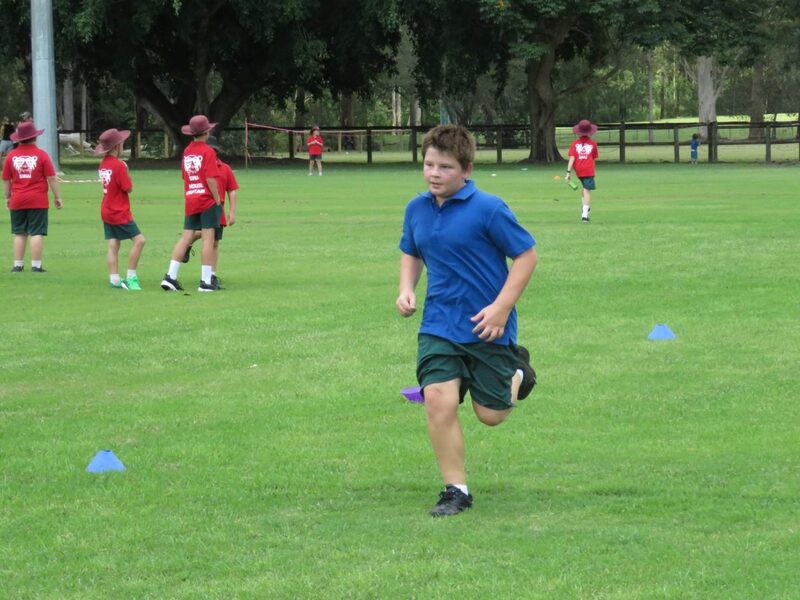 The Year 6, 12-year-olds, combined with the 12-year-olds in Year 7 and the Year 6 boys showed the Year 7s that they are the fitter ones. 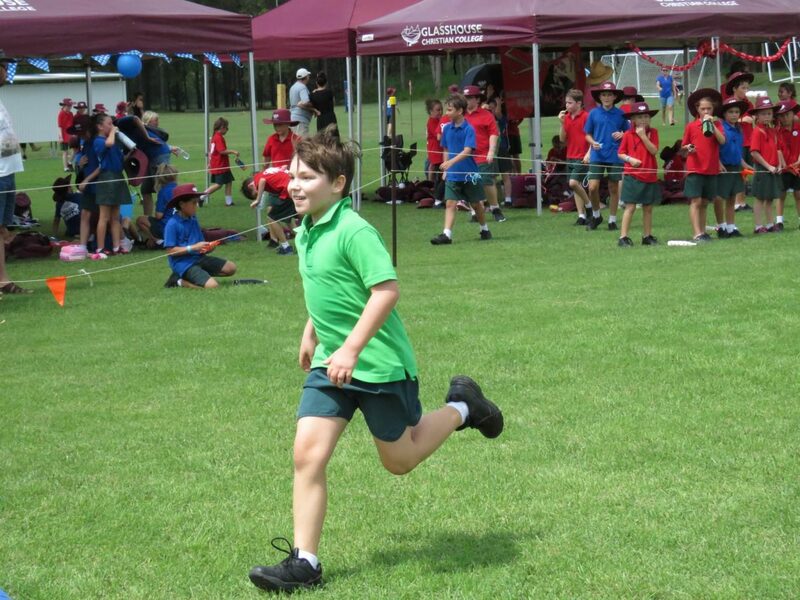 Unfortunately, Jared Moss was unable to compete due to crashing off his pushbike just days before the race but the competition was still fierce amongst the boys. 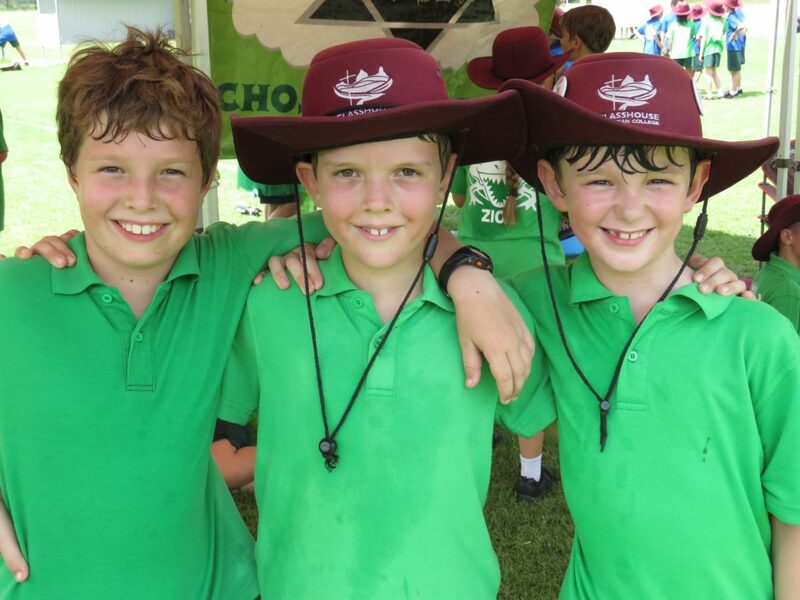 A group of four boys established a breakaway group and stayed together for most of the race with Jasper Menkens having the lead for much of the race. 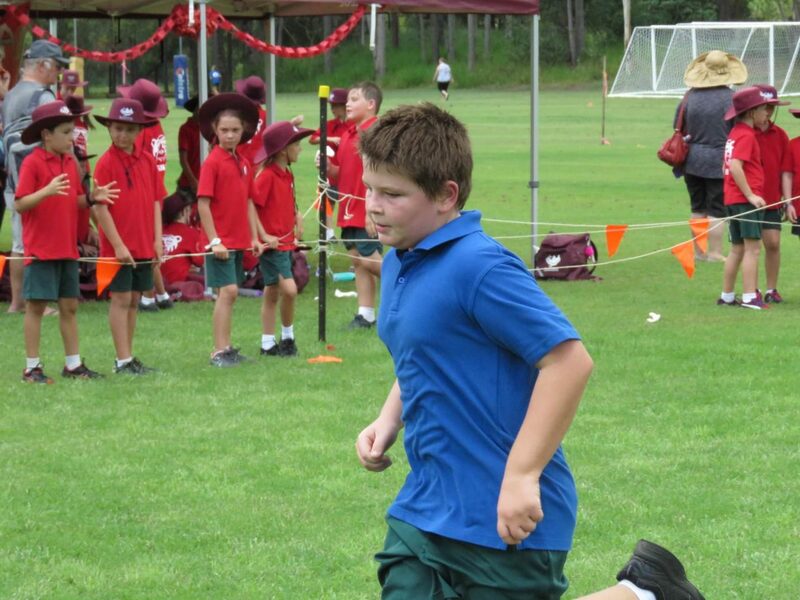 In the final 300m of the race, Josh Ford lifted his pace and managed to edge in front of Jasper. 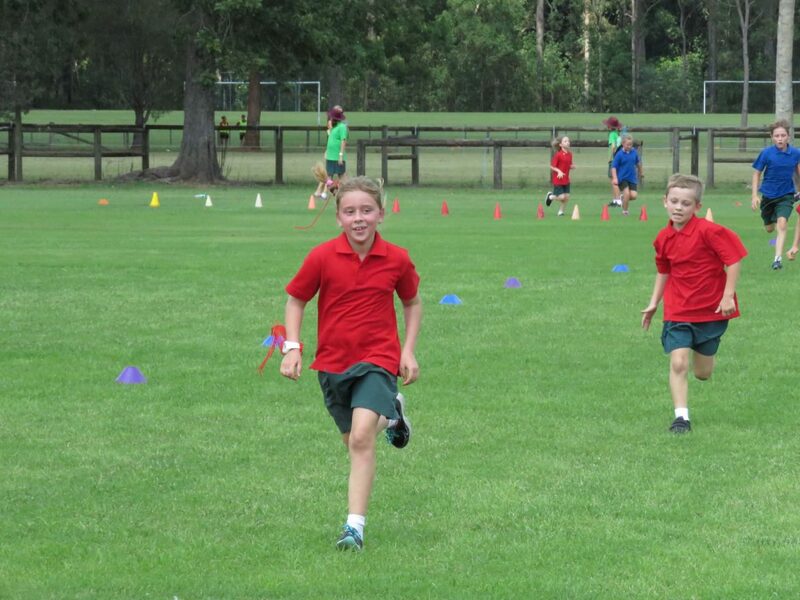 They sprinted to the finish line with Josh holding his lead and winning by four seconds. 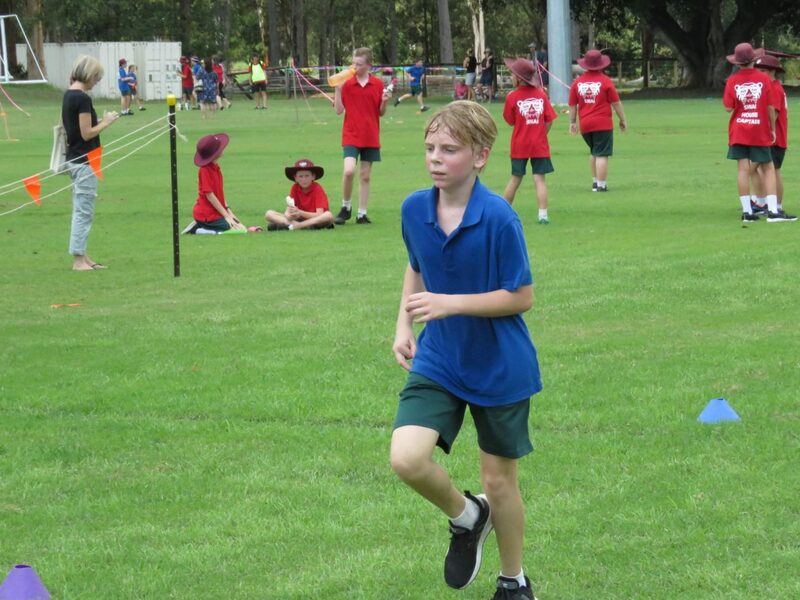 Archer Palmer and Thomas Quinn also ran great races finishing third and fourth respectively. 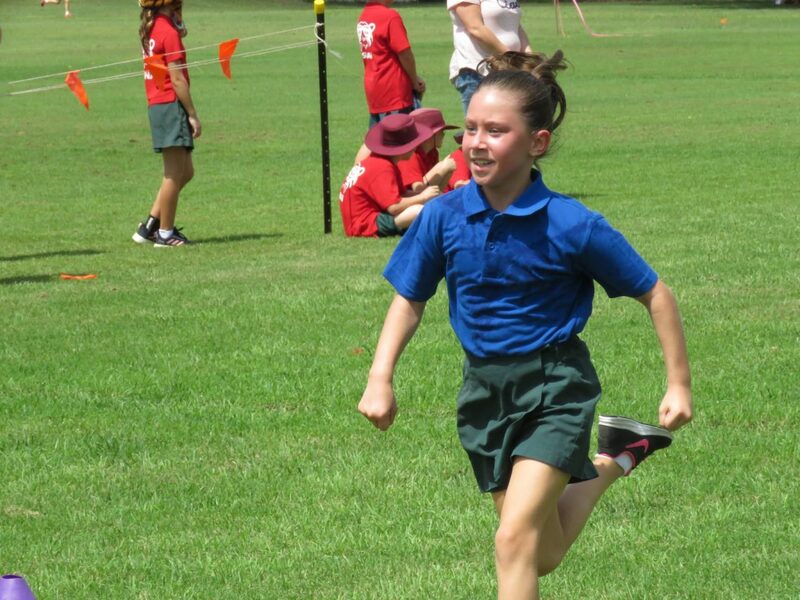 Lily Breen established a lead in the 12-year-old girls’ race and held this throughout the race. 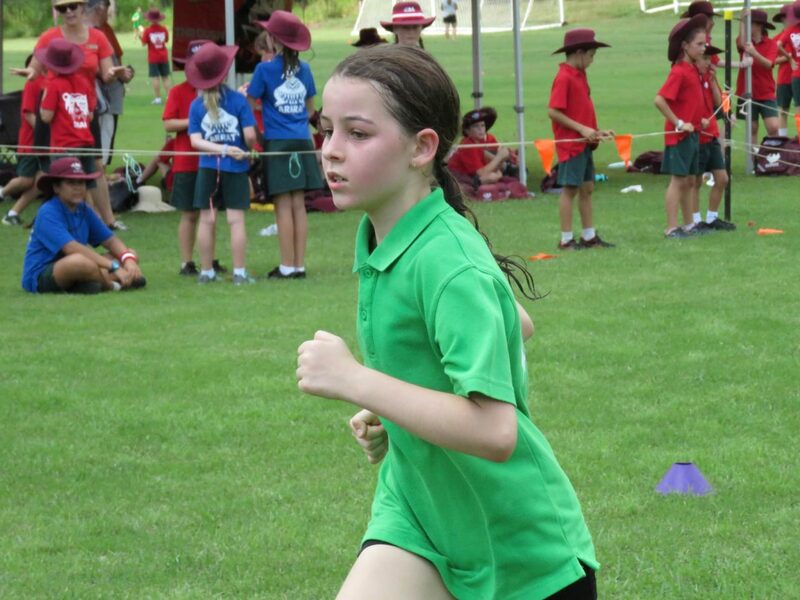 Laura-Grace Olive and Ruby Ciantar had a great race for second and third placings with Laura just finishing one second ahead of Ruby. 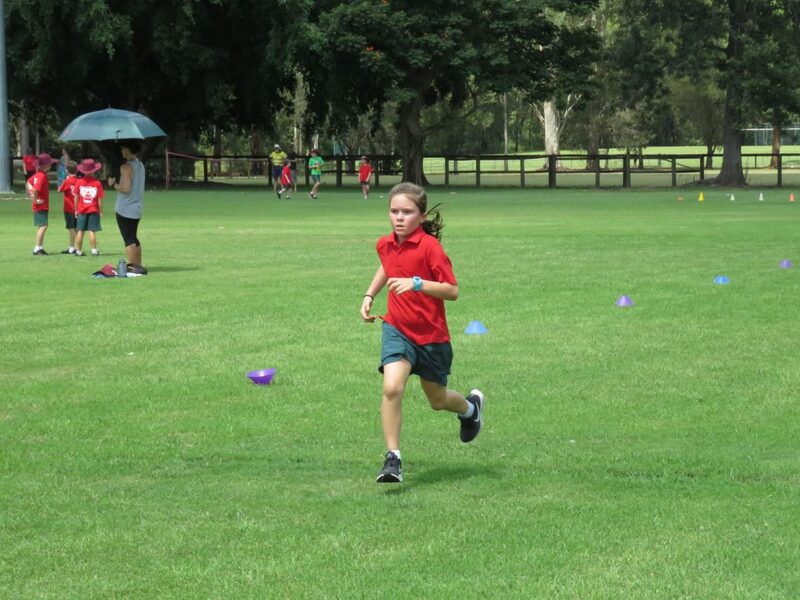 Students who placed in the top three placings will represent GCC at the Glasshouse District Cross Country in Week 1 next term. 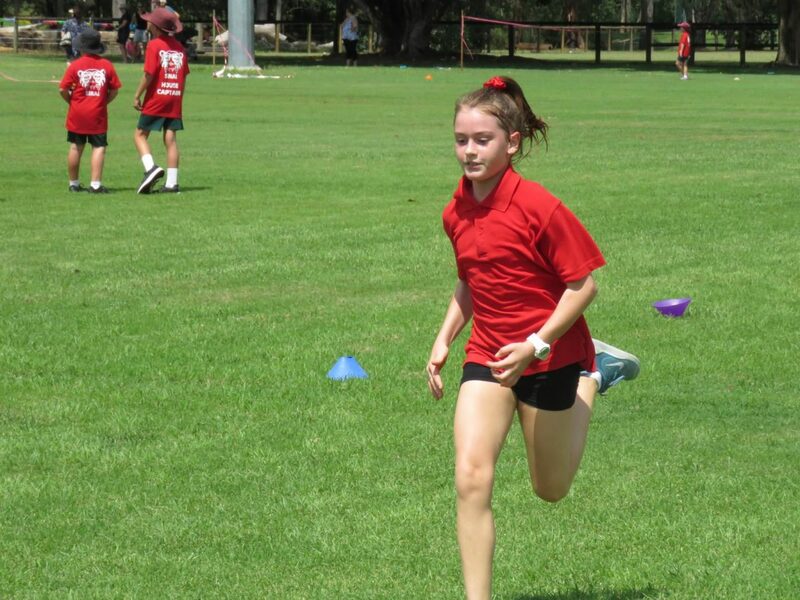 Students put in great efforts throughout the whole field. 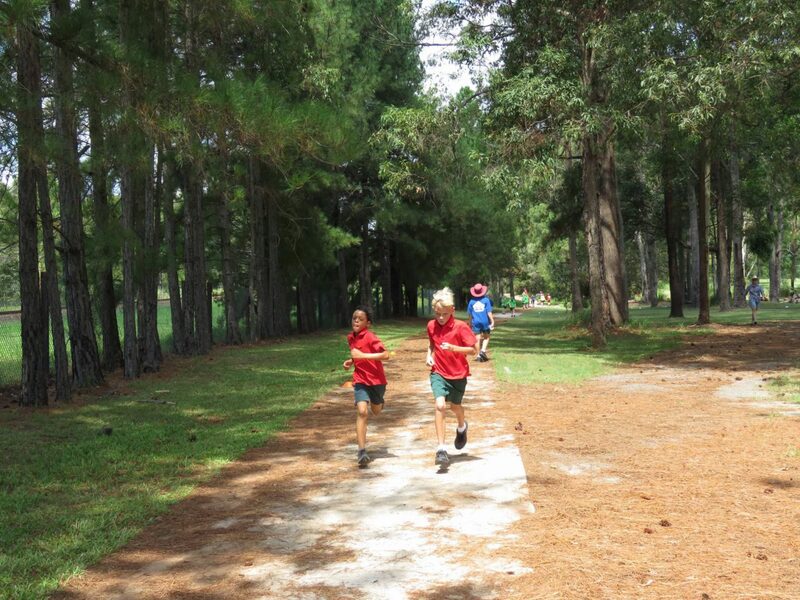 Many continued to walk and jog even though they were feeling very hot and puffed. 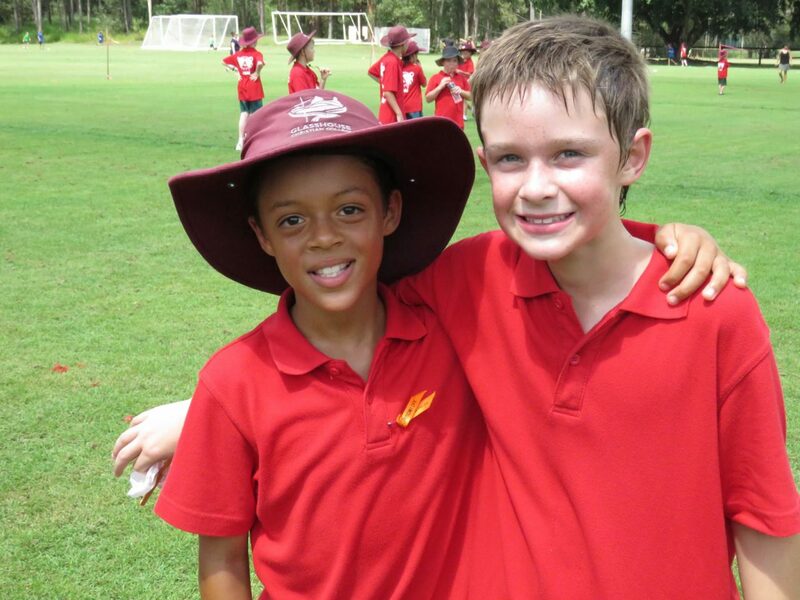 The house points gained were all very valuable as the points were tallied. 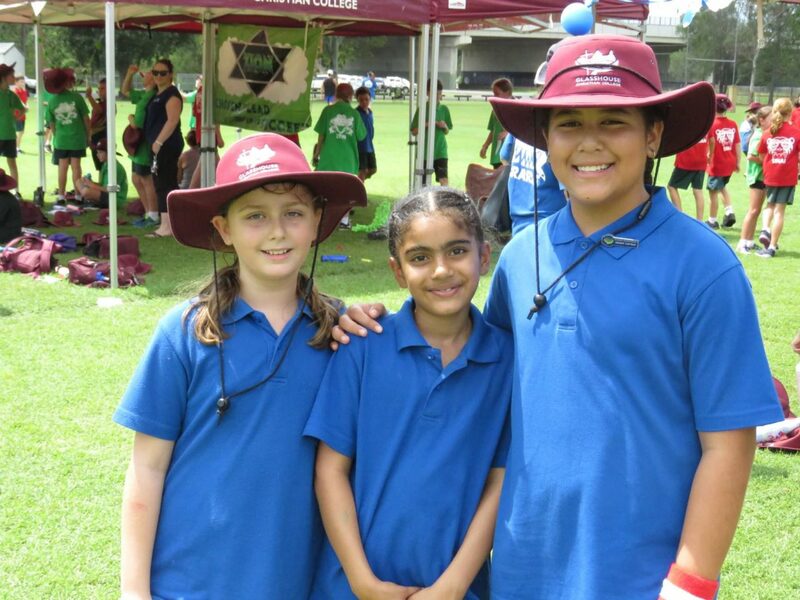 Sinai emerged as the Primary Champions this year gaining ten more valuable points ahead of Ararat. 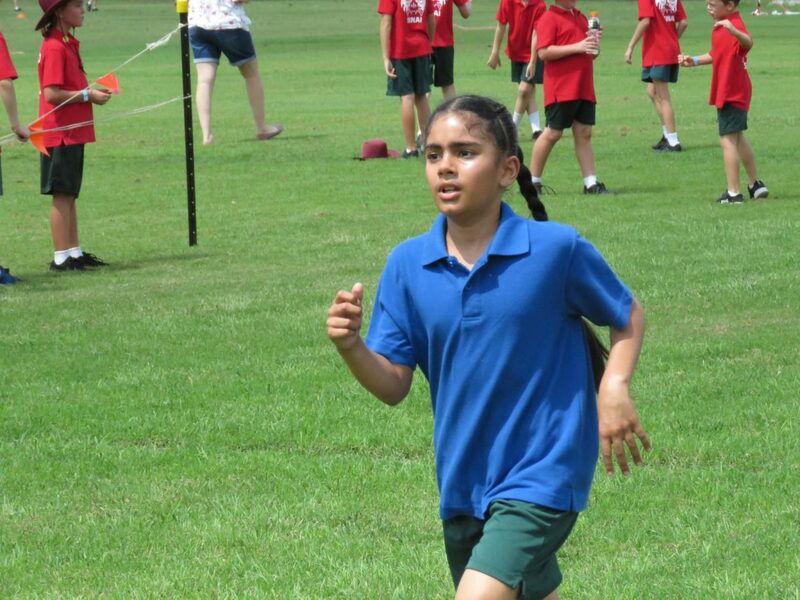 Sinai also won the war cry competition showing fantastic enthusiasm, volume and synchronisation. 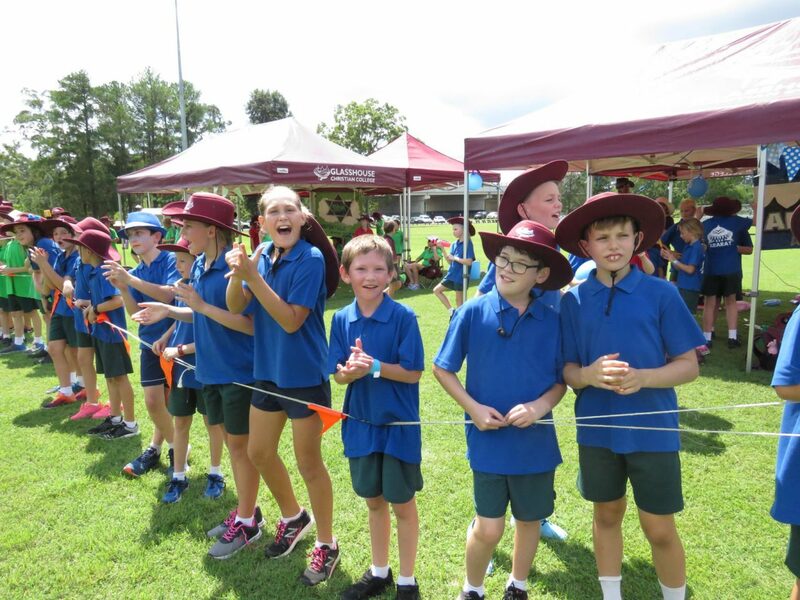 The winners of each age group were presented ribbons and will be awarded Age Champion trophies at the Sports Awards at the end of the year. 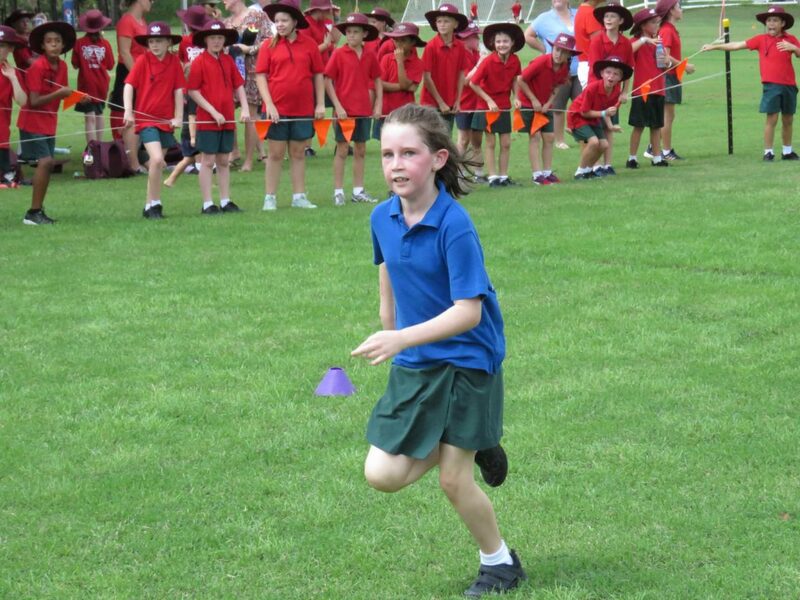 The first four finishers from each house had their placings totalled to decide a teams race winner in each race. 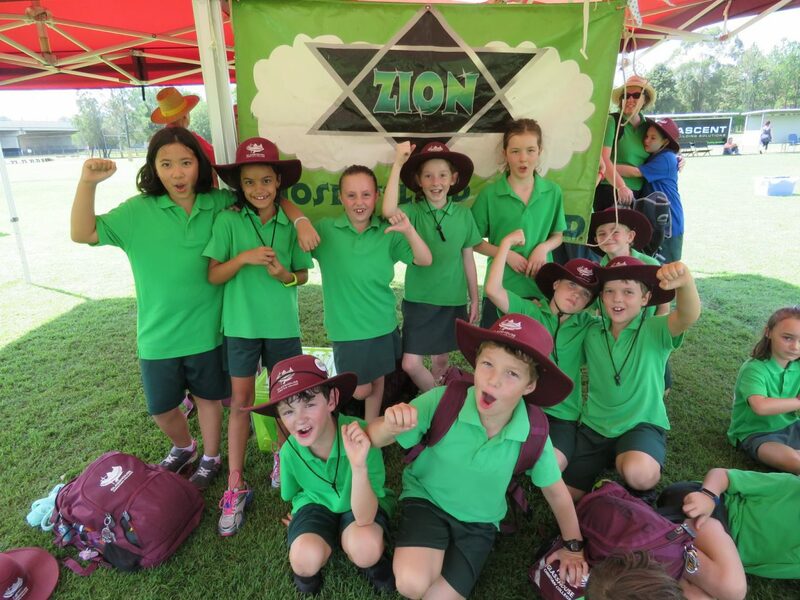 Ararat won five of the ten team races with Sinai winning three and Zion two. 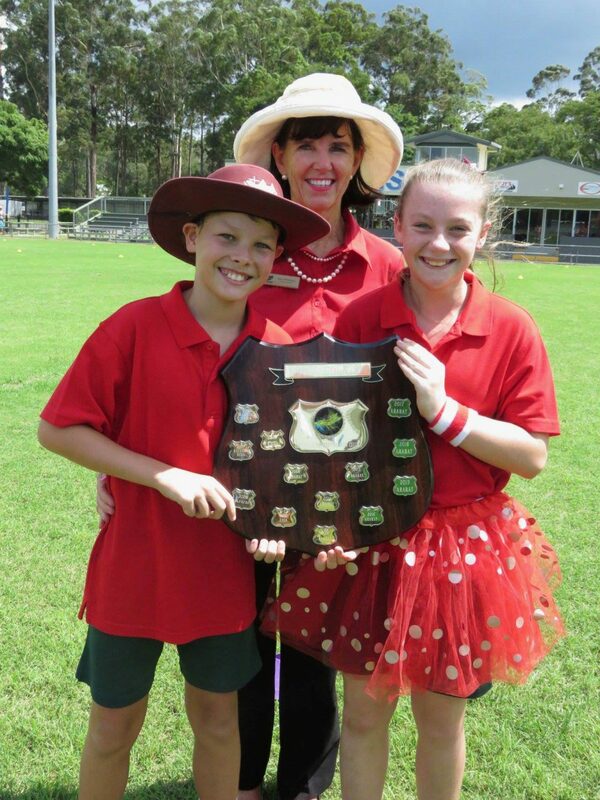 Winners are listed below. 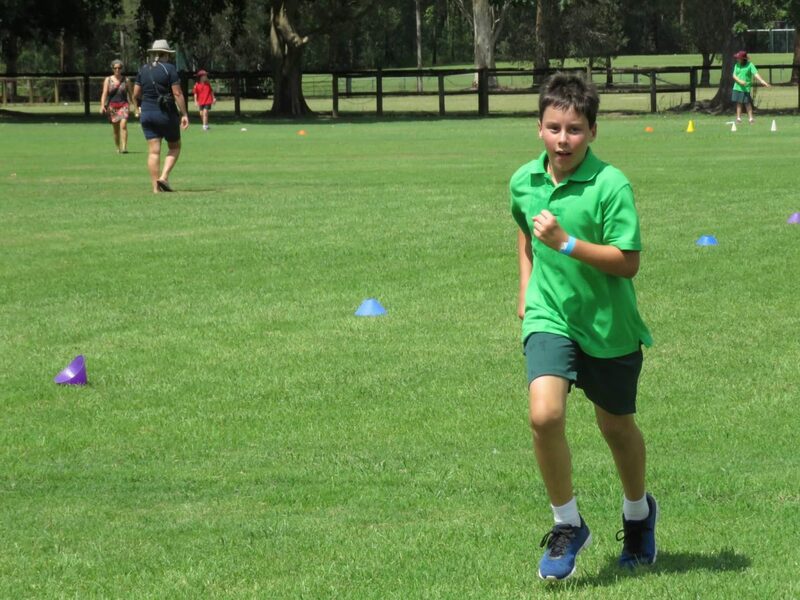 When all cross country points from the Senior, Middle and Primary school races were totalled there were only two points separating first and second! 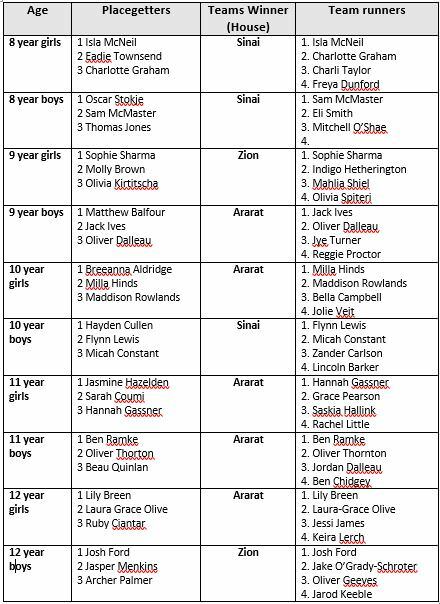 Sinai is overall winner at this stage but the Prep – Year 2 cross country points still need to be added to these totals. 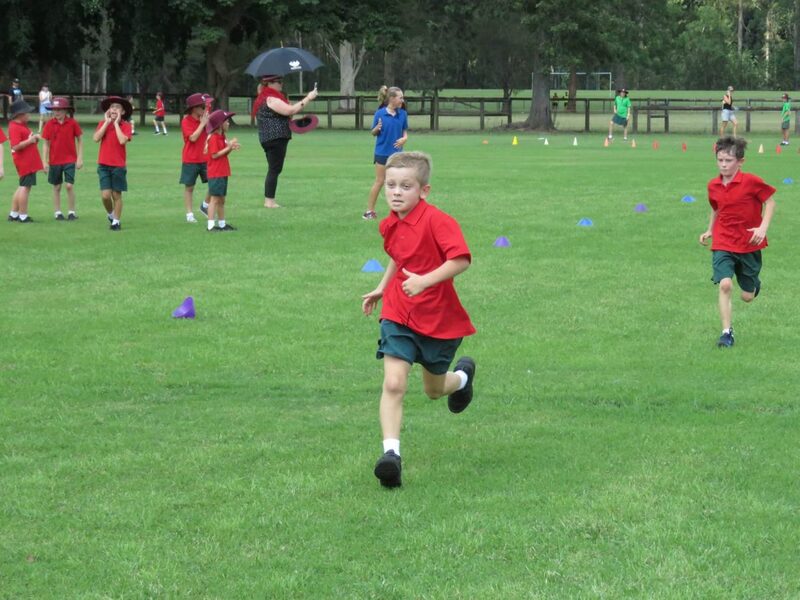 It was great to see so many parents and family members supporting the students as they ran. 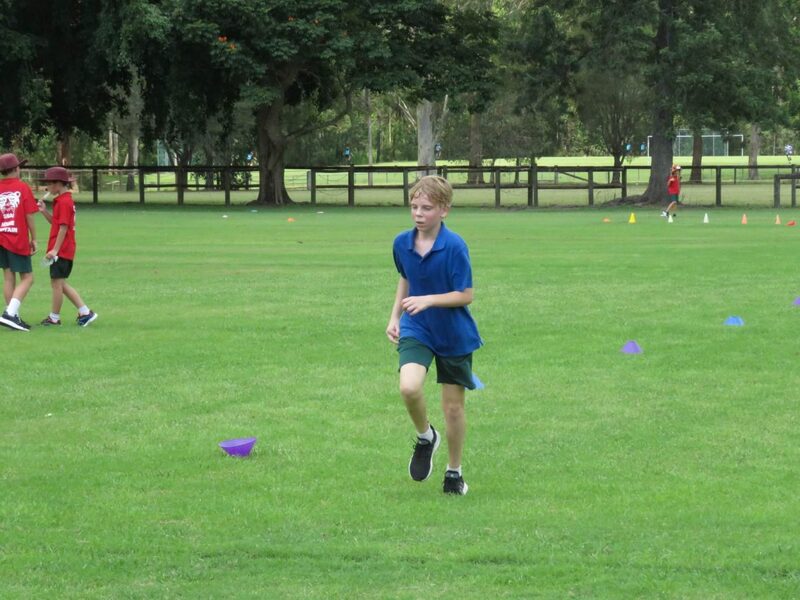 We look forward to seeing how our athletes run at the District Cross Country. 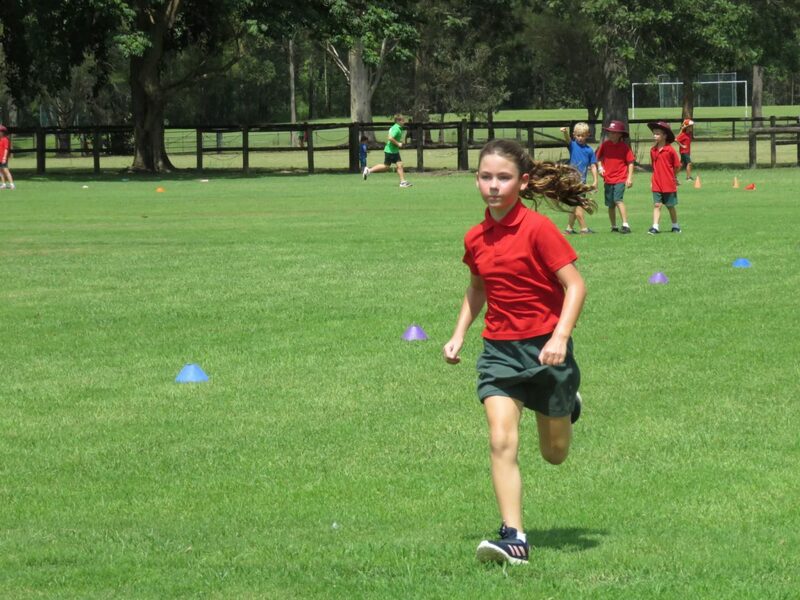 This entry was posted in Sport News and tagged Primary Cross Country on March 27, 2019 by sandy.